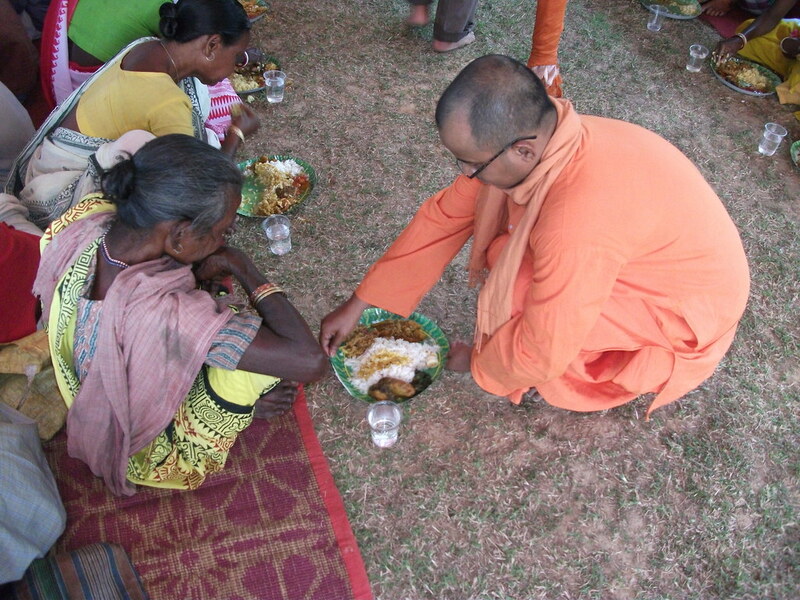 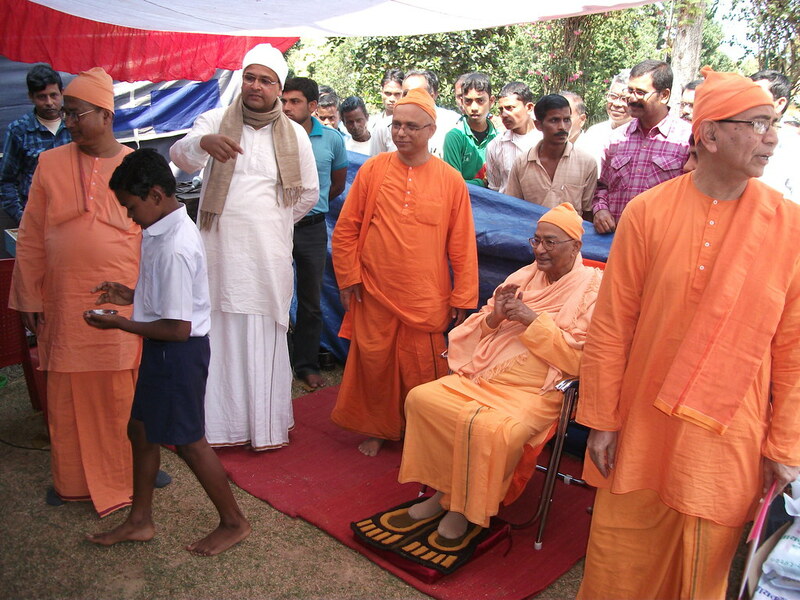 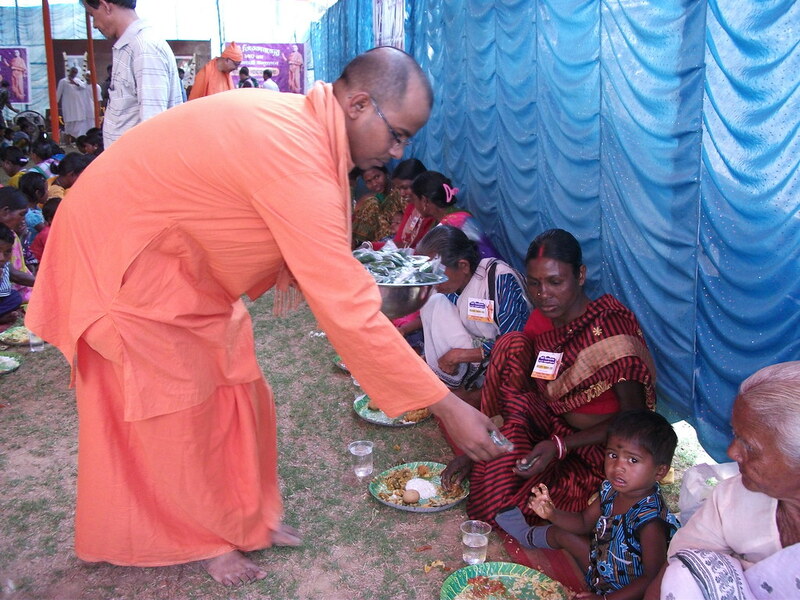 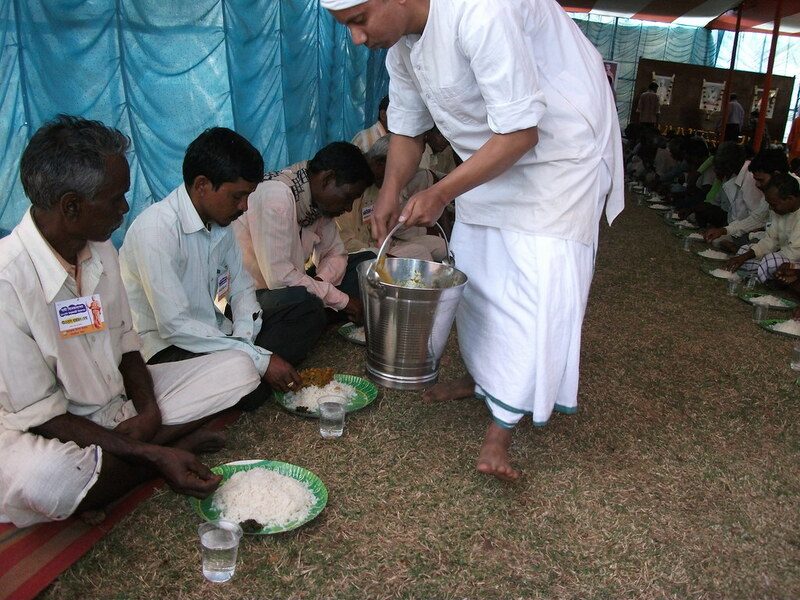 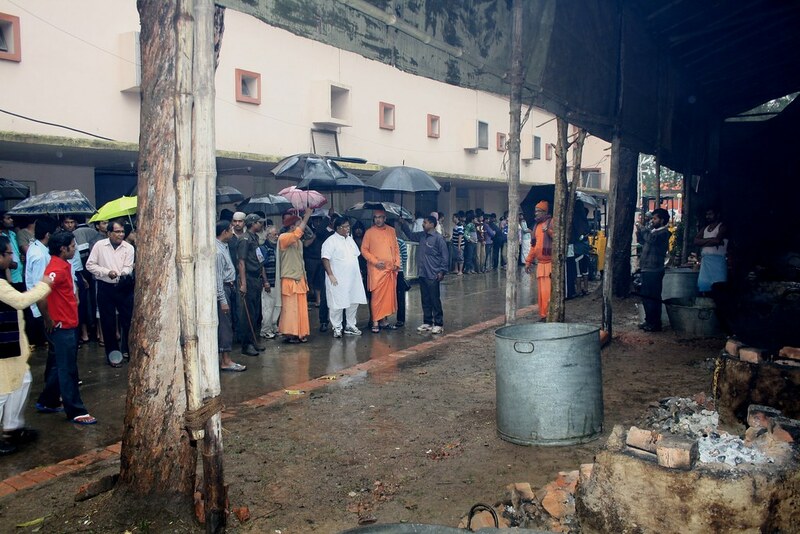 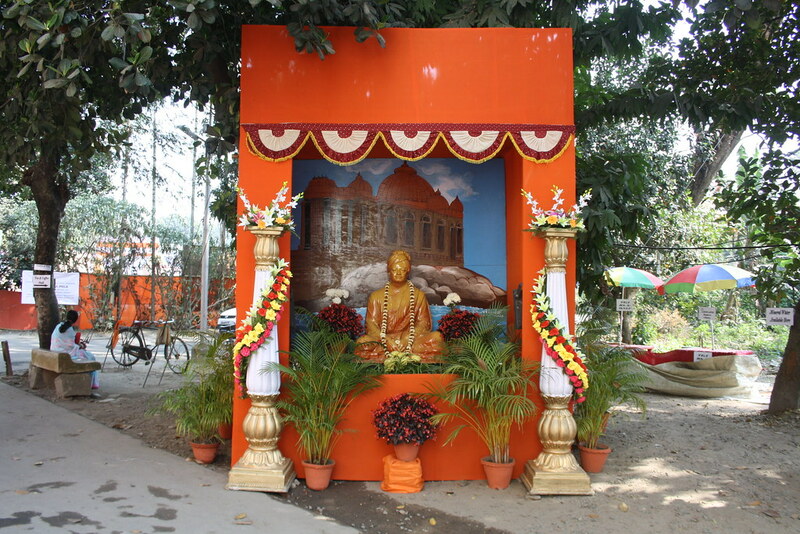 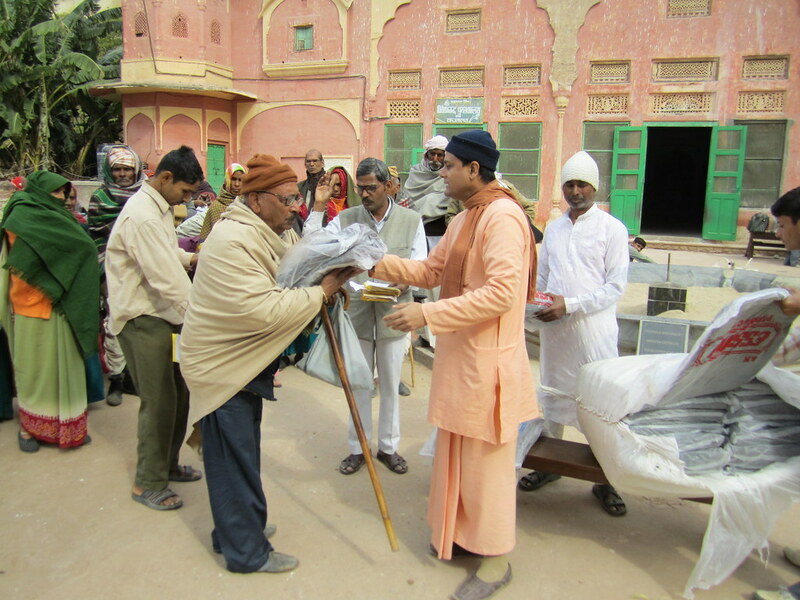 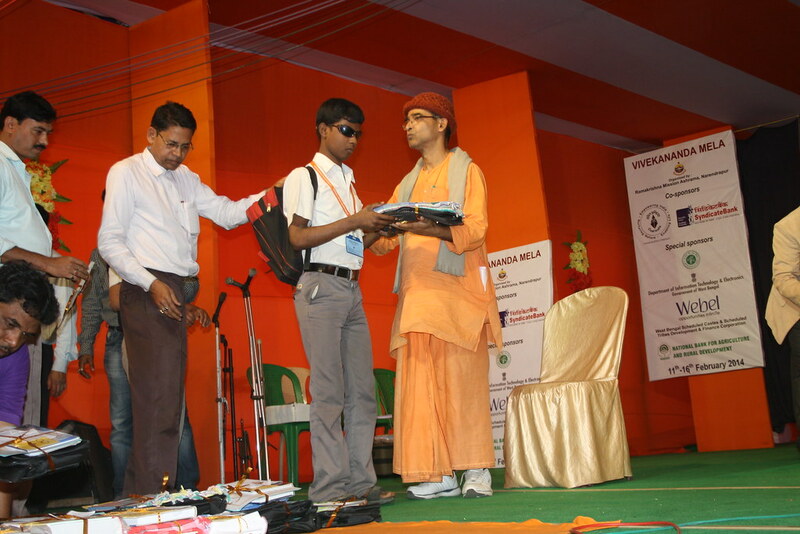 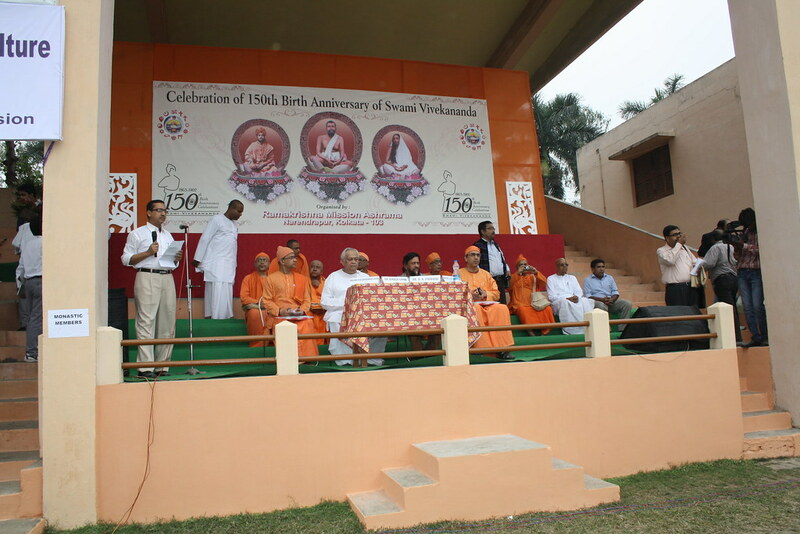 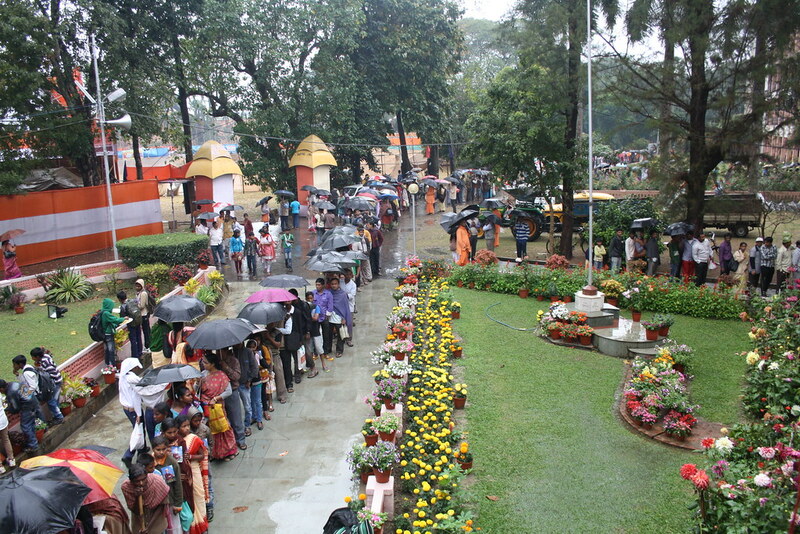 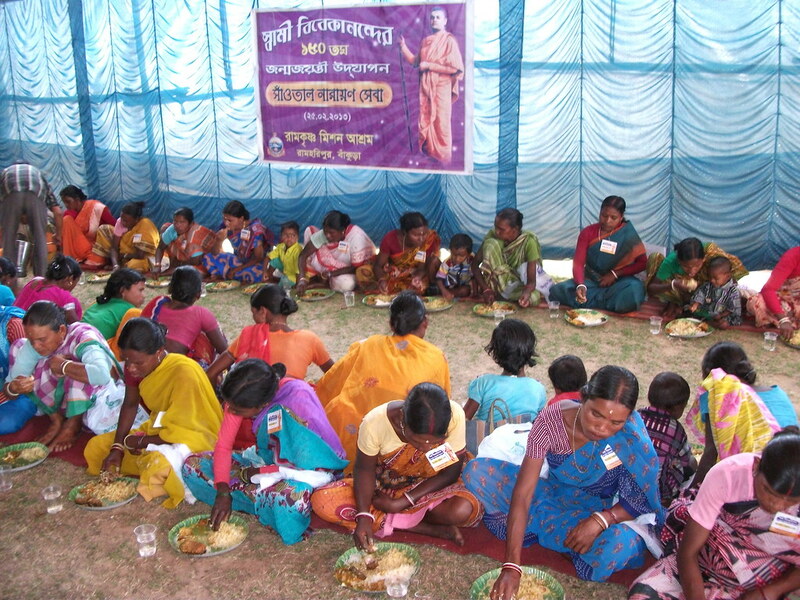 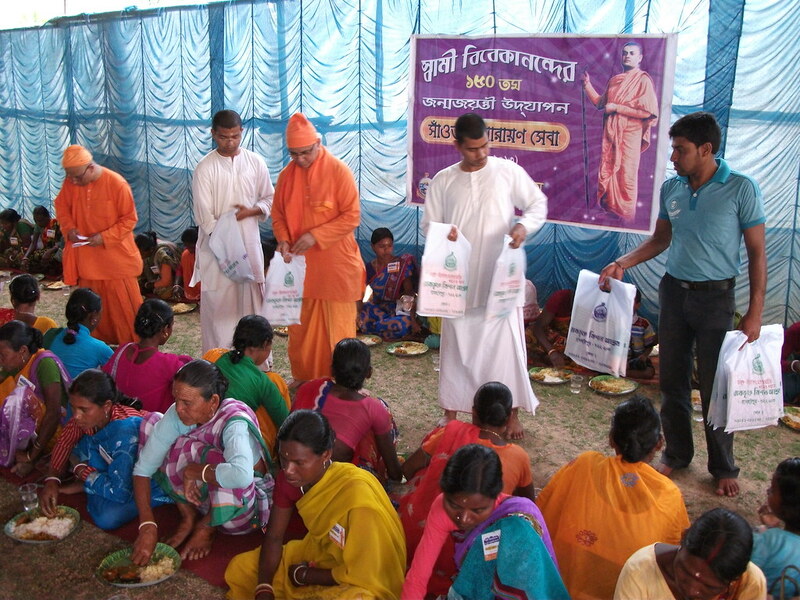 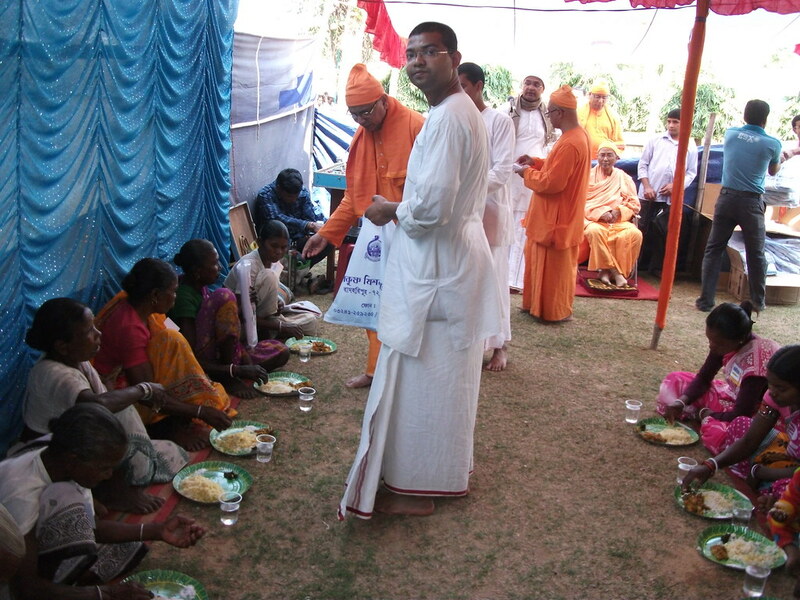 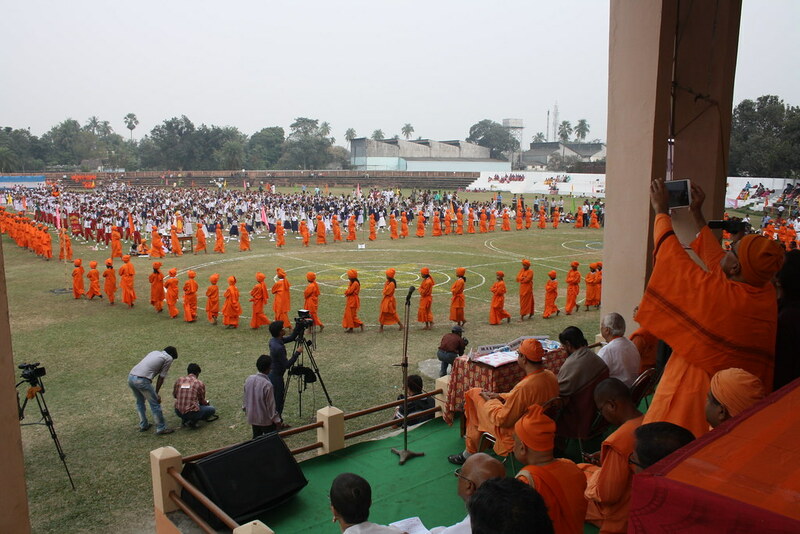 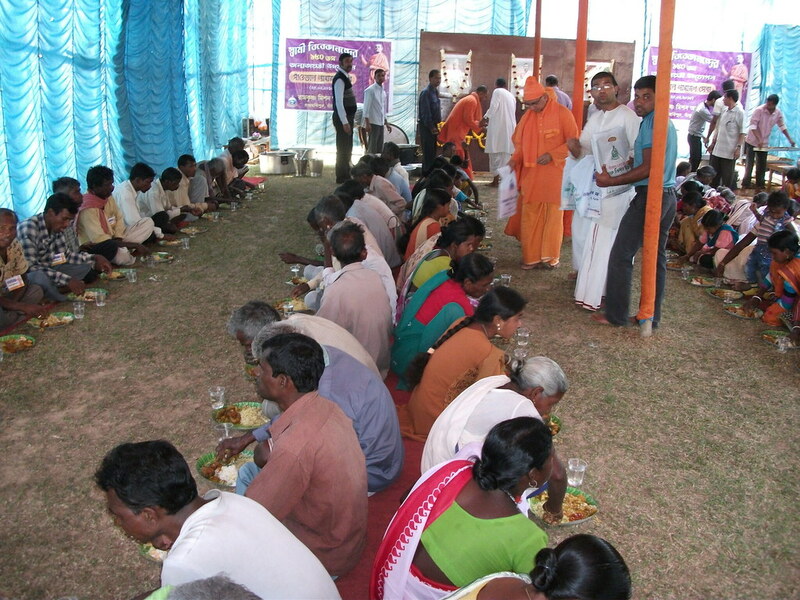 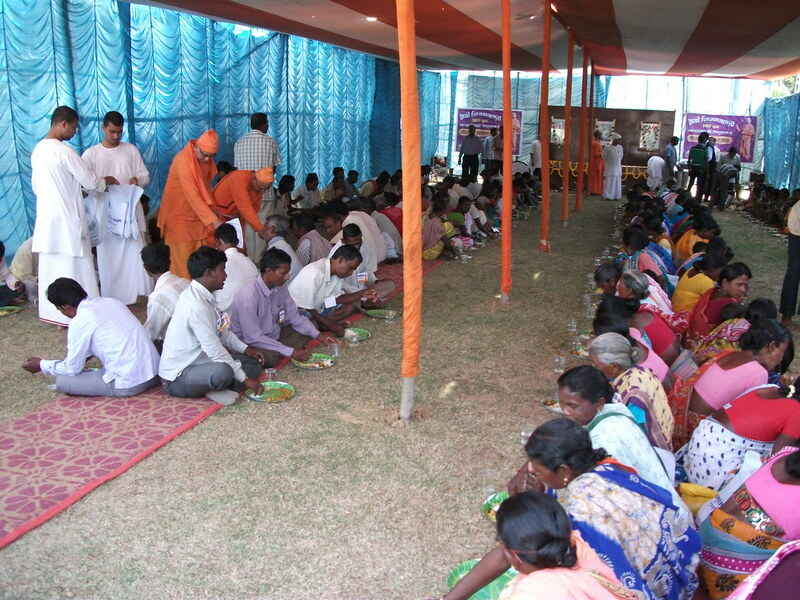 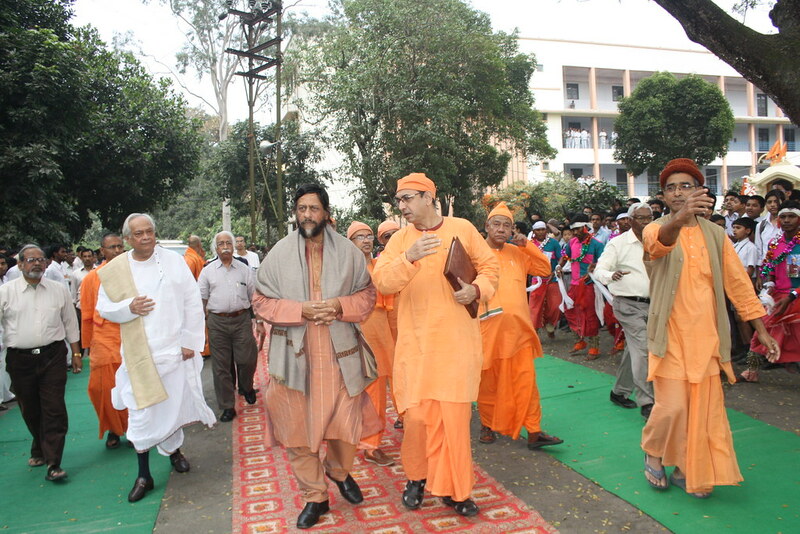 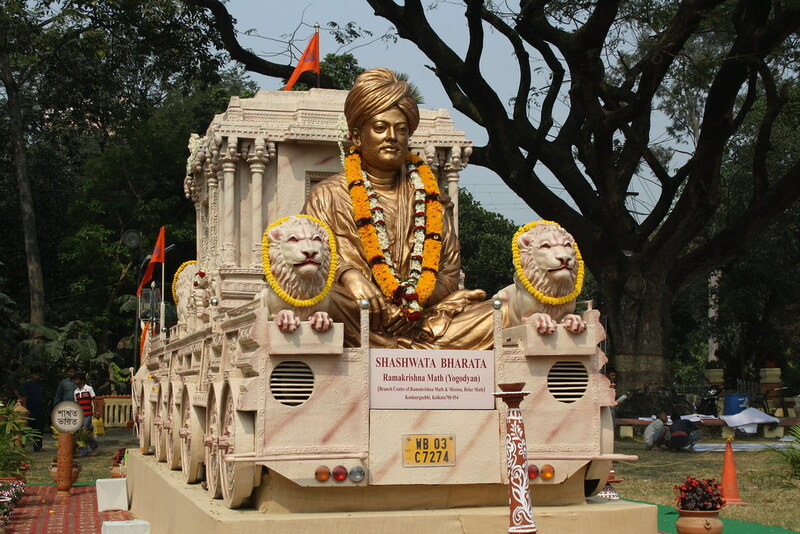 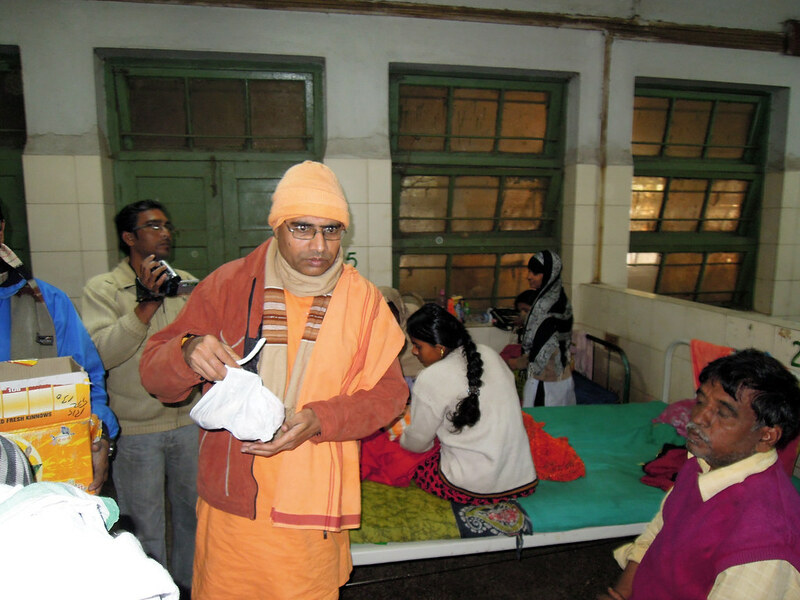 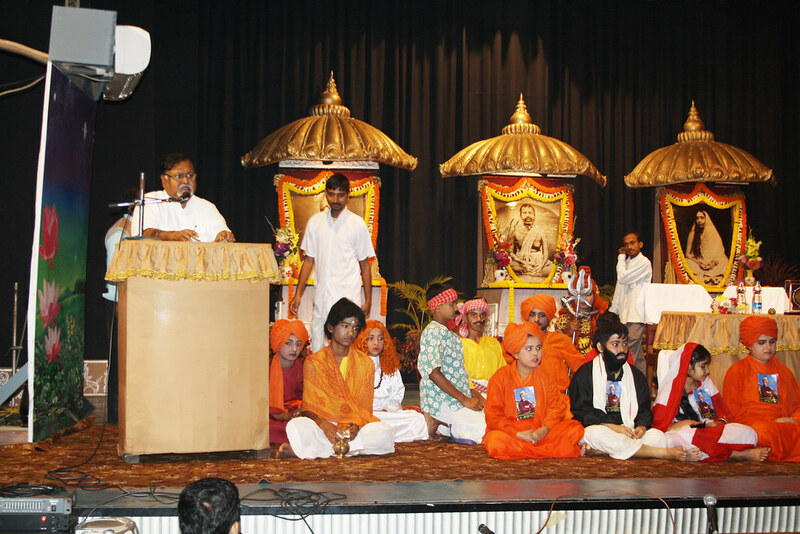 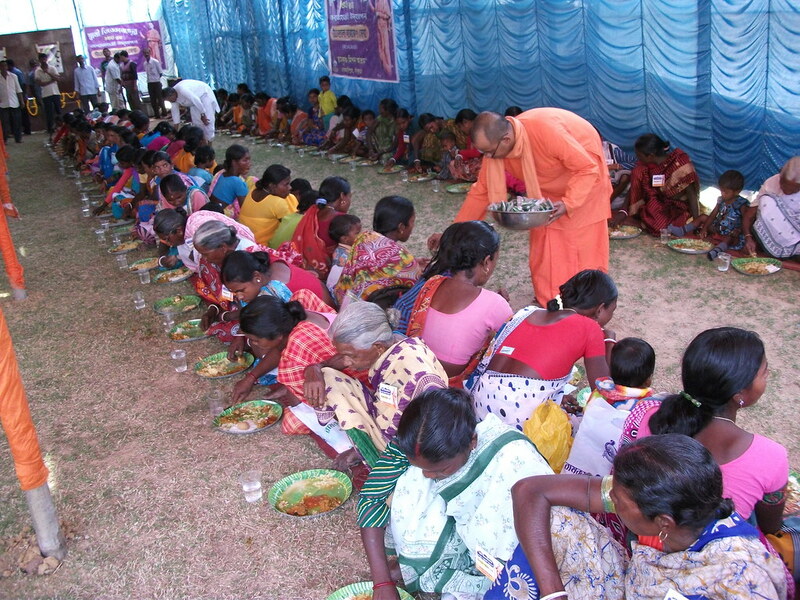 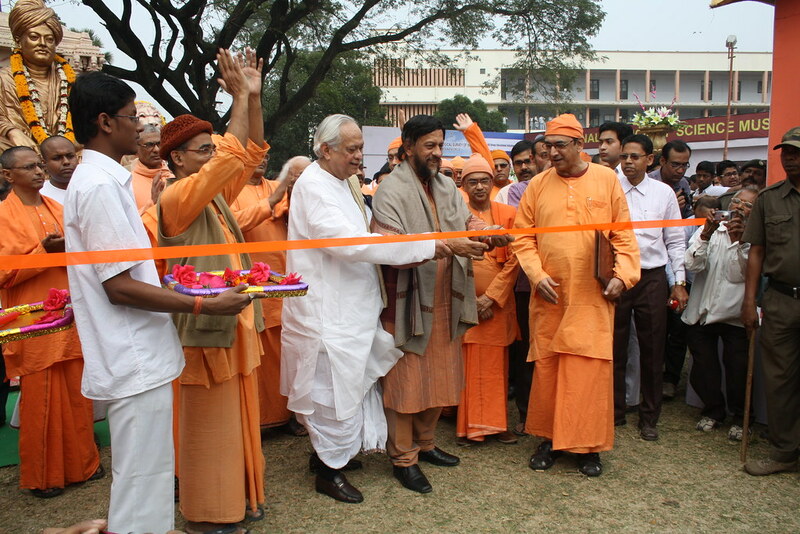 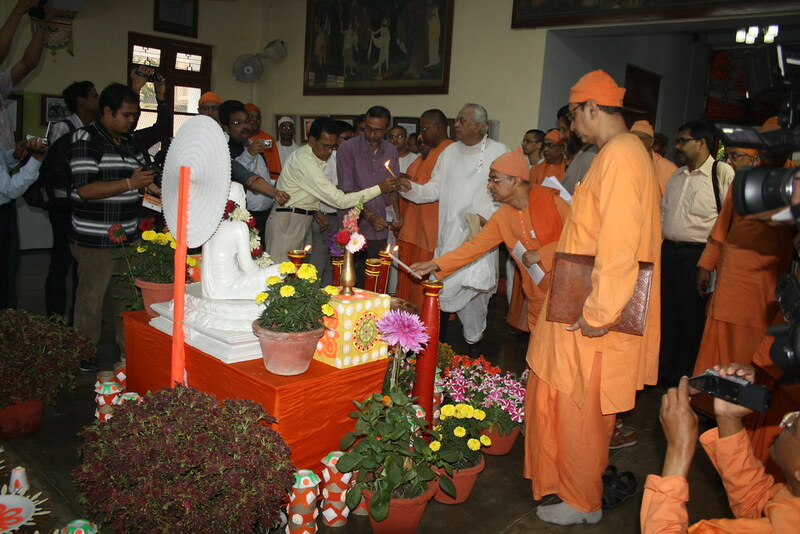 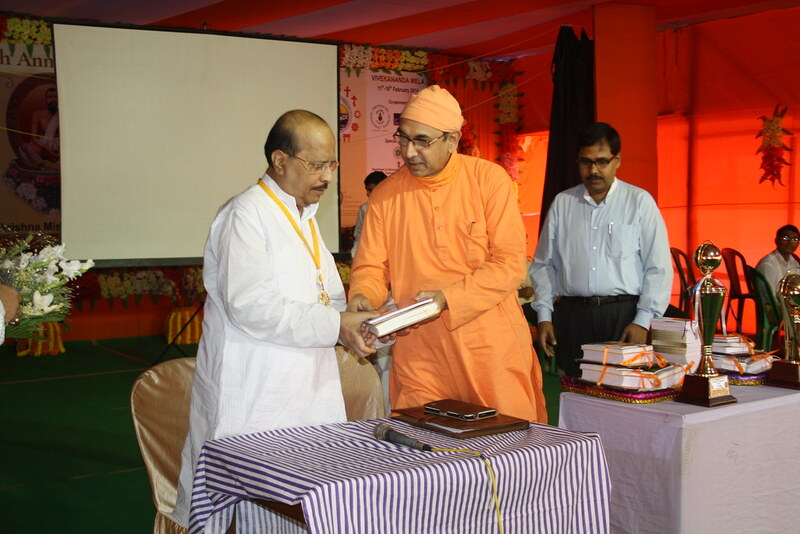 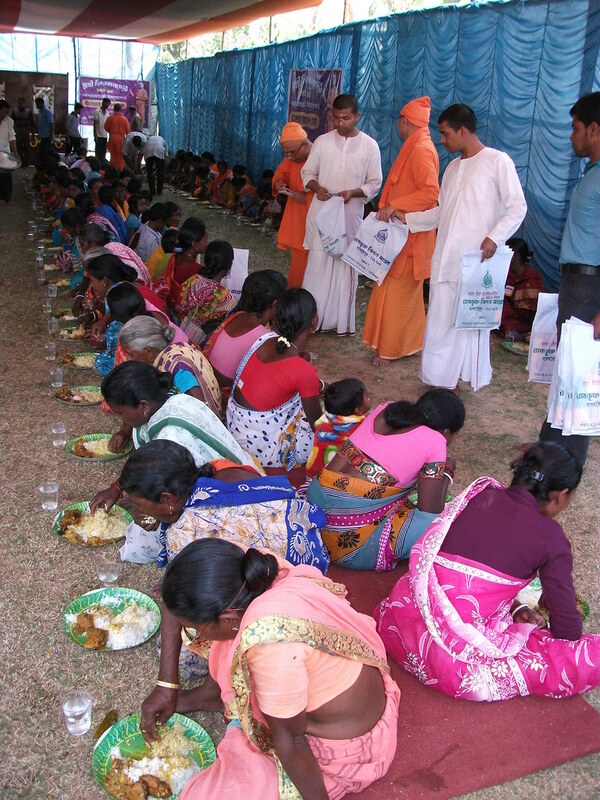 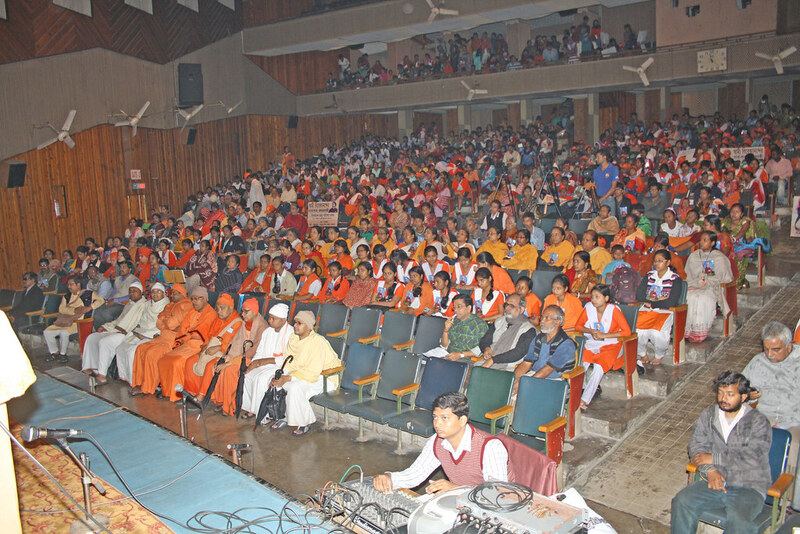 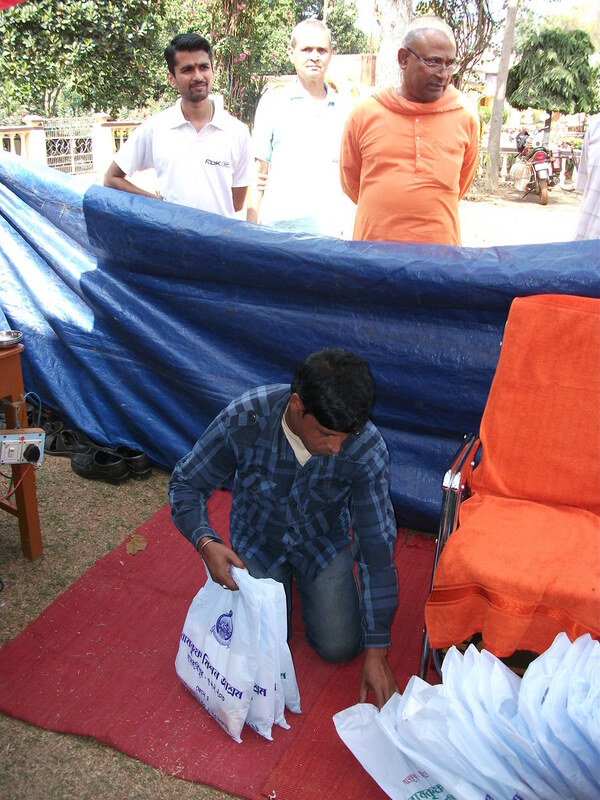 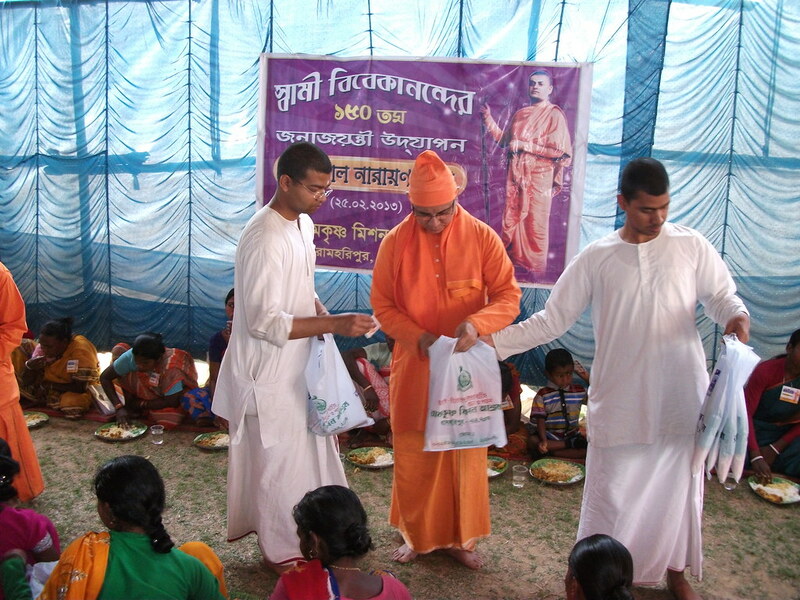 Ramakrishna Mission Ashrama, Ramharipur imitated the incident of Swamiji feeding the Santal labourers at Belur Math on the holy birthday of Srimat Swami Adbhutanandaji Maharaj, 25th February 2013 at 12-00 noon. 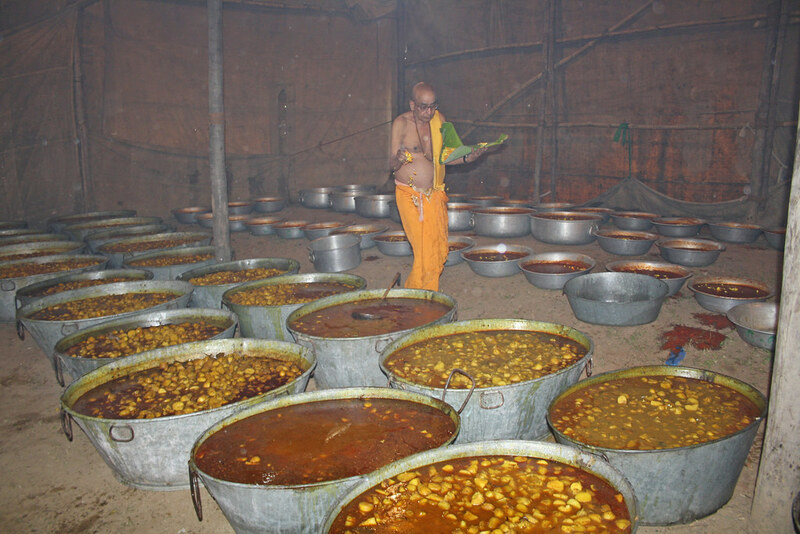 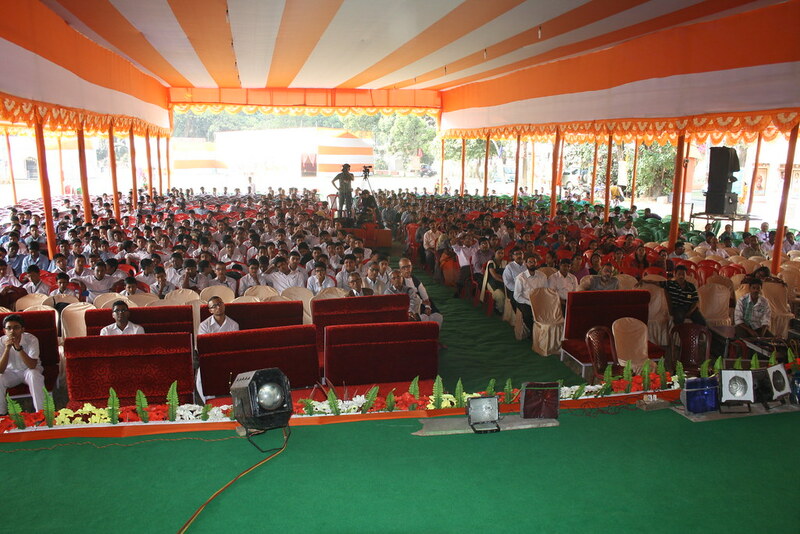 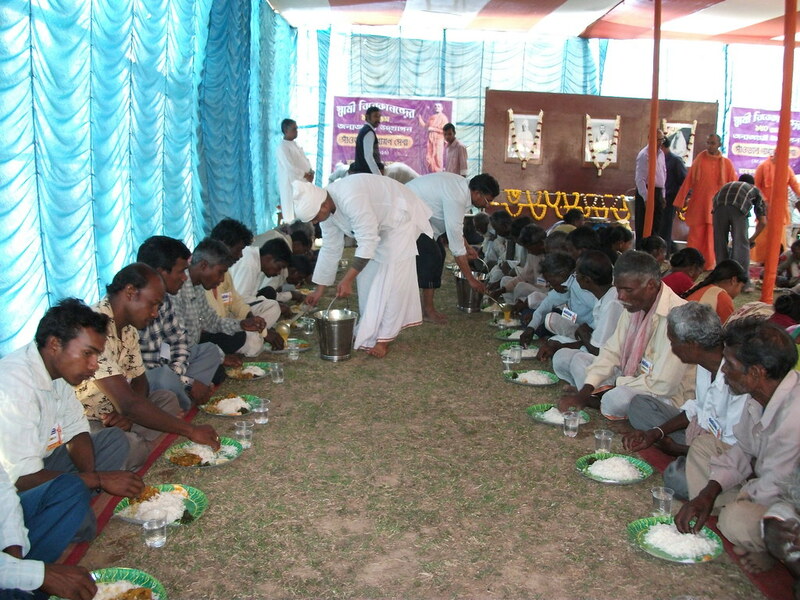 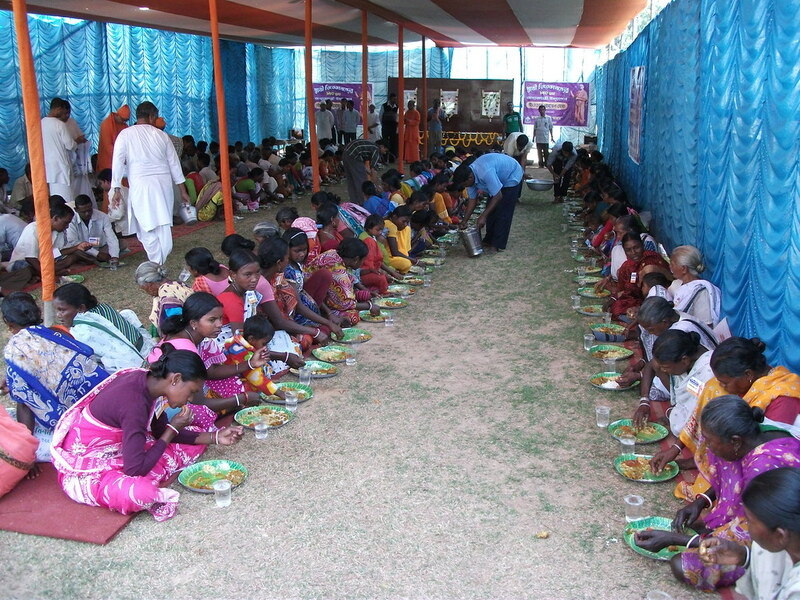 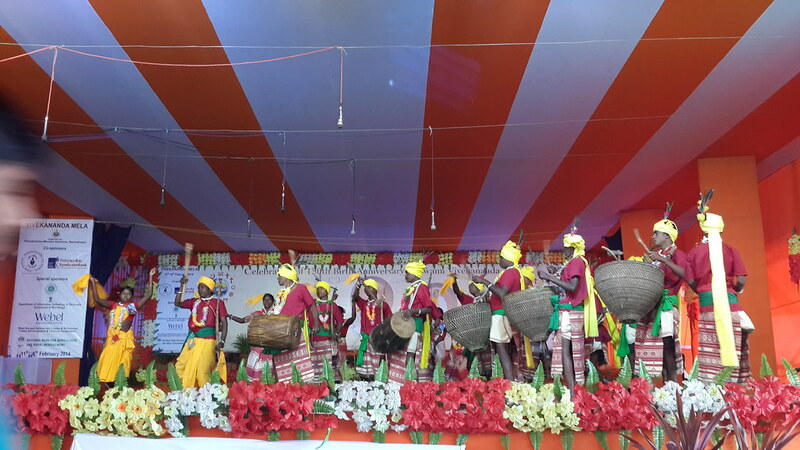 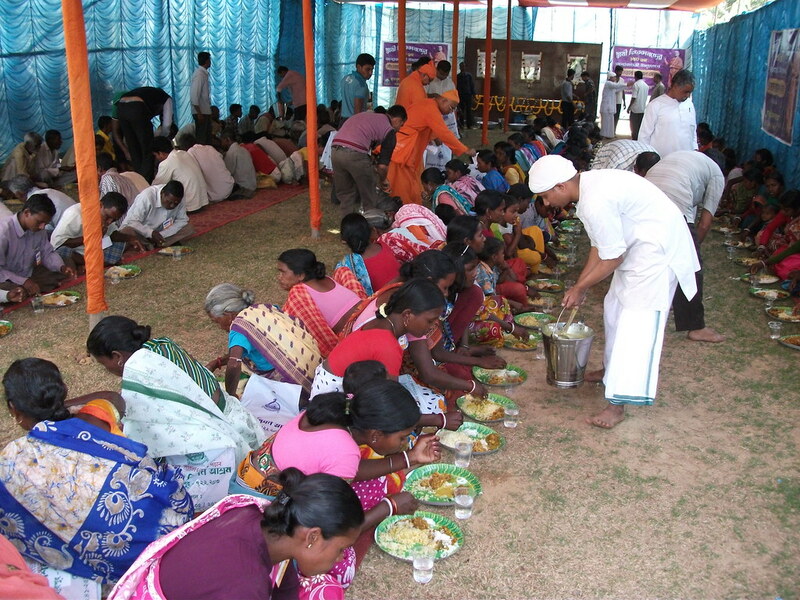 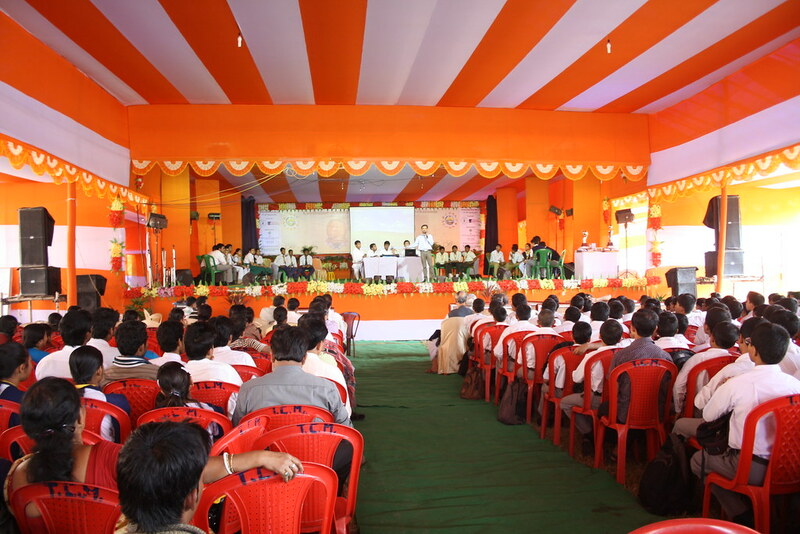 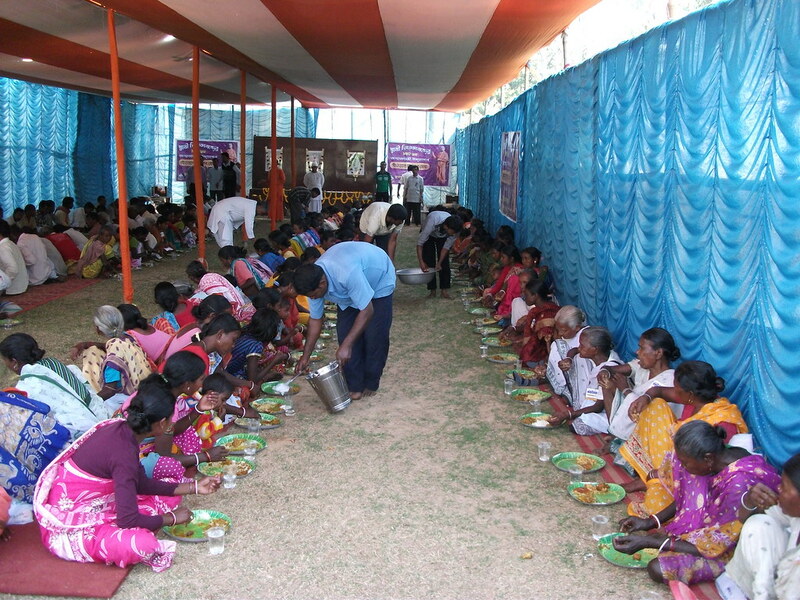 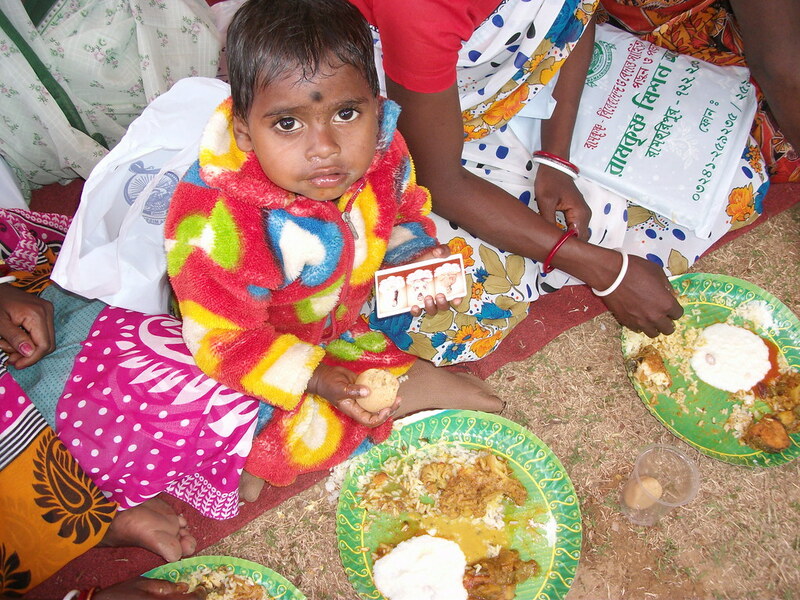 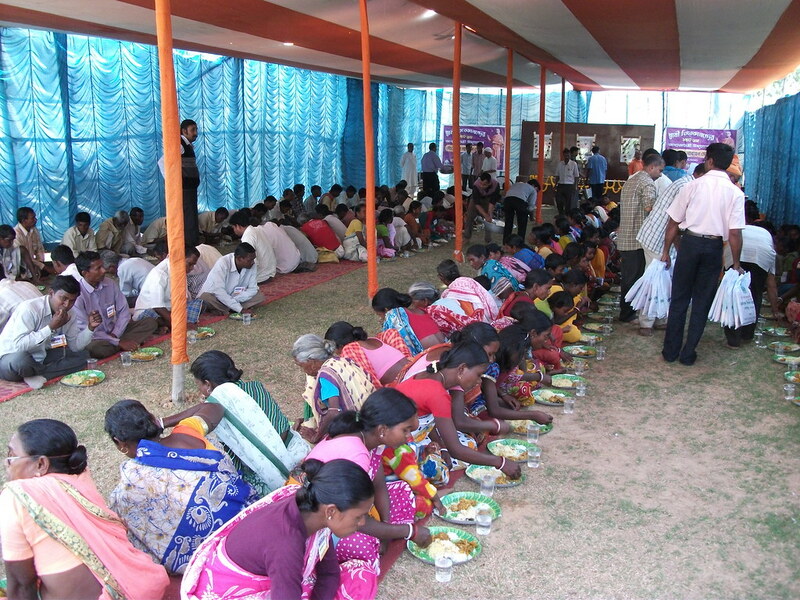 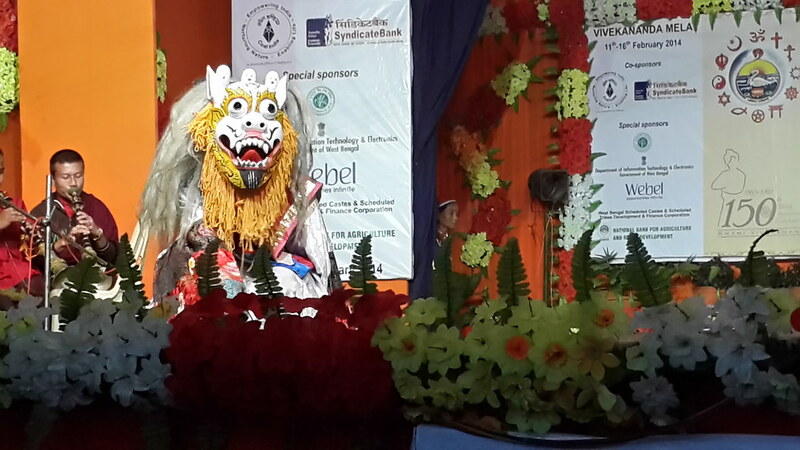 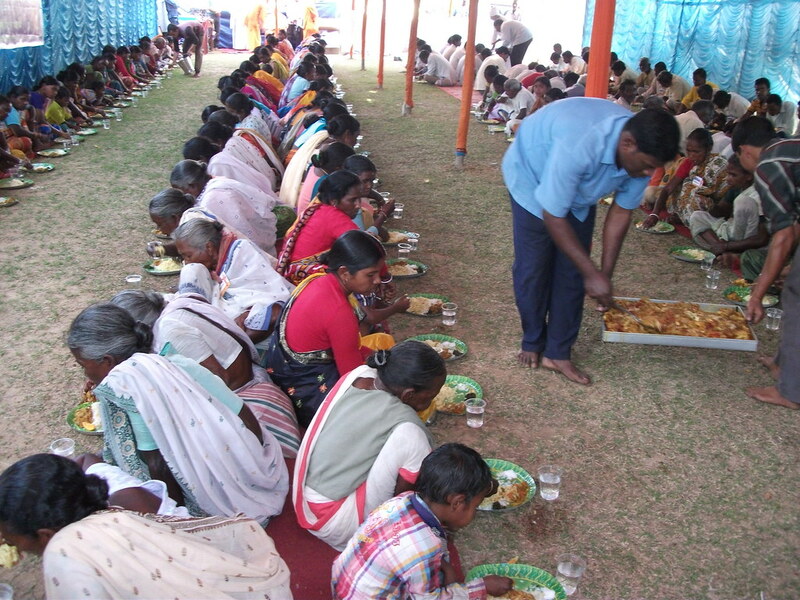 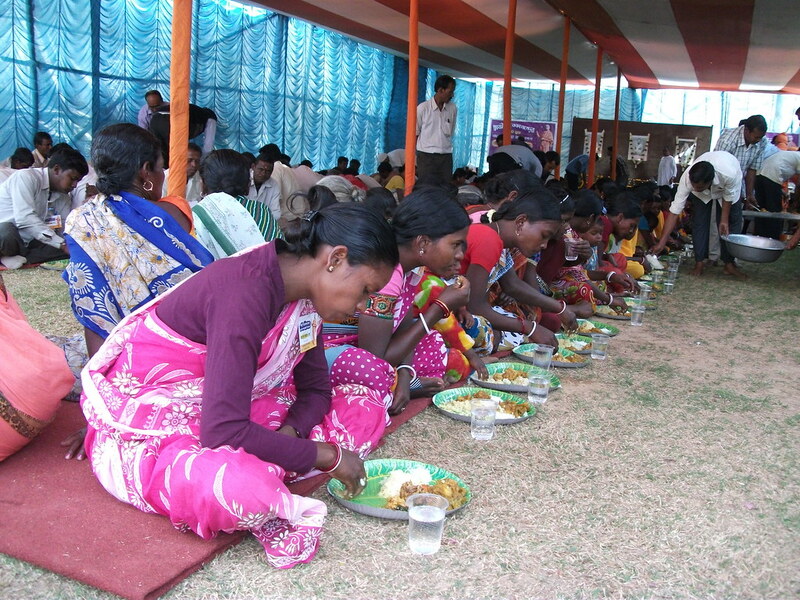 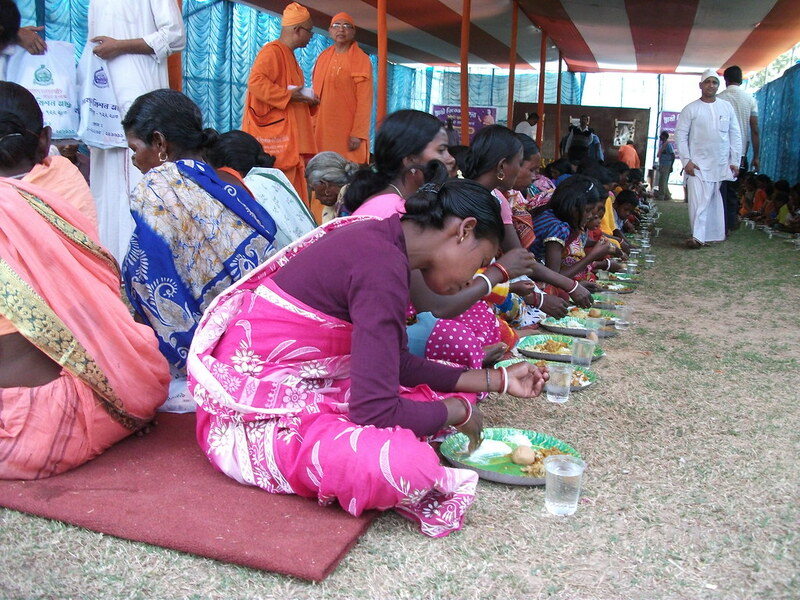 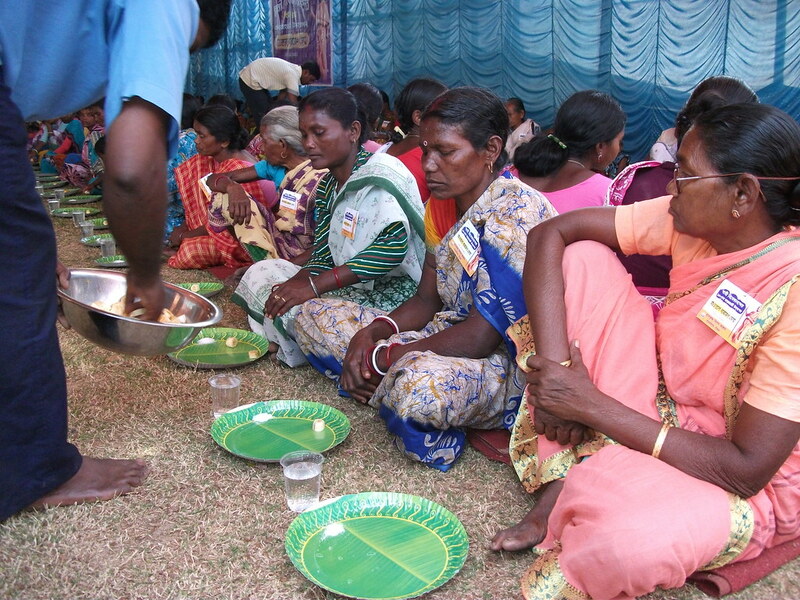 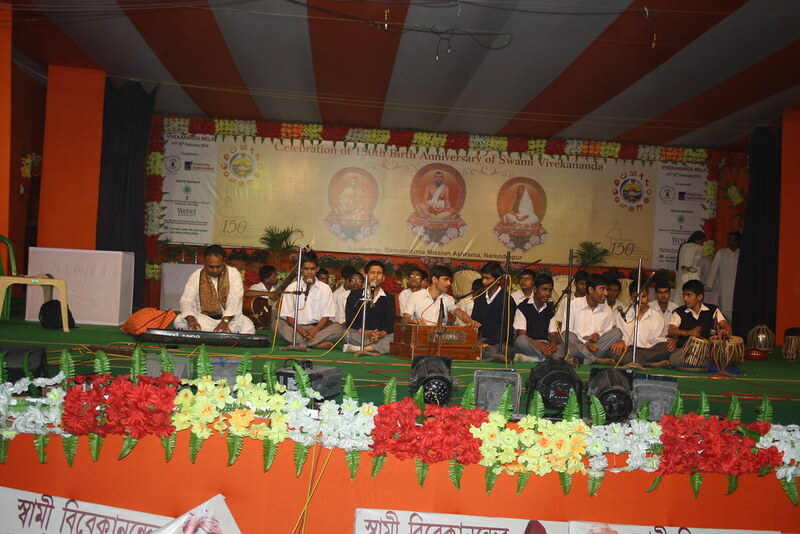 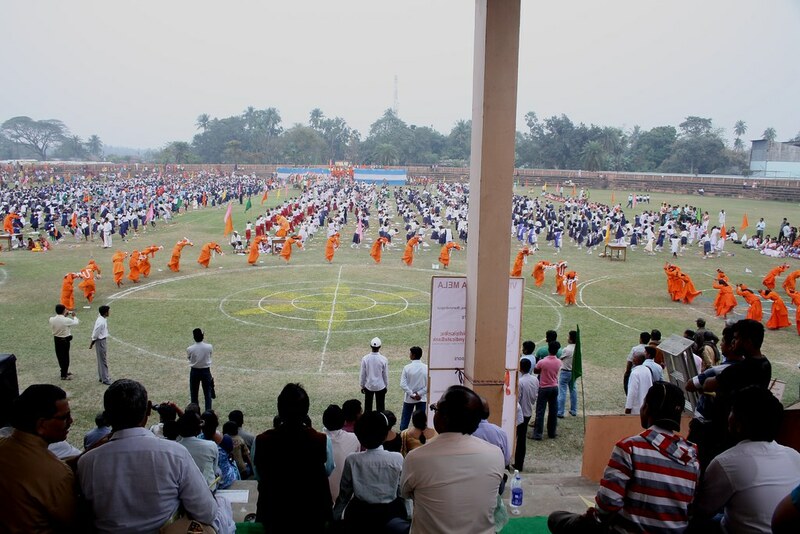 151 Santals from 6 villages were invited to Ramharipur Ashrama and were sumptuously fed with delicious dishes. 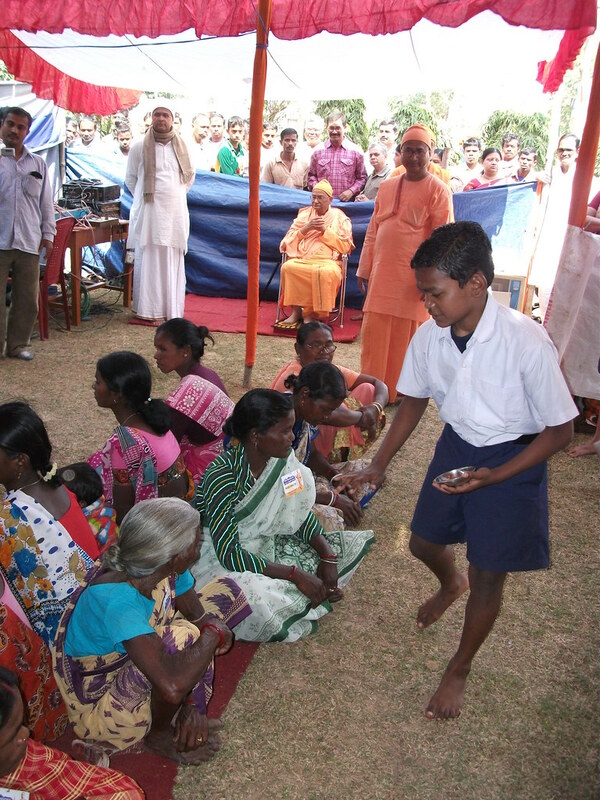 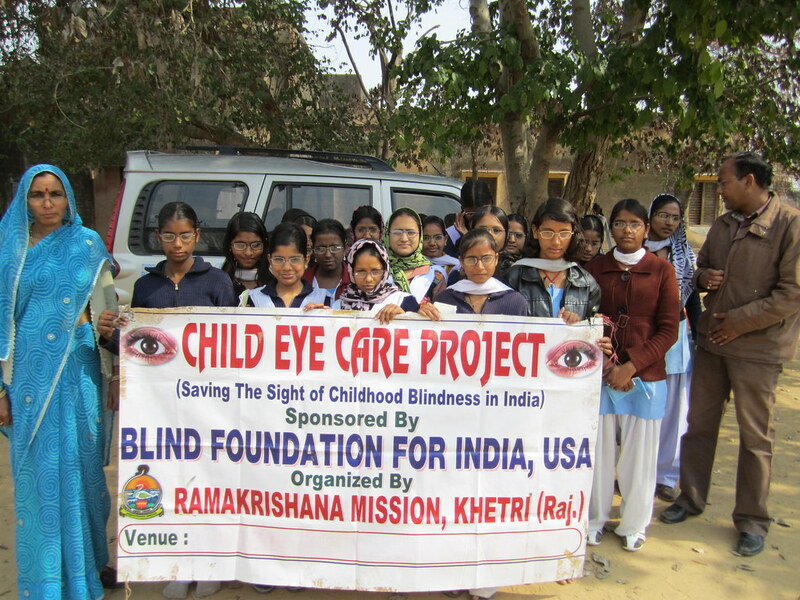 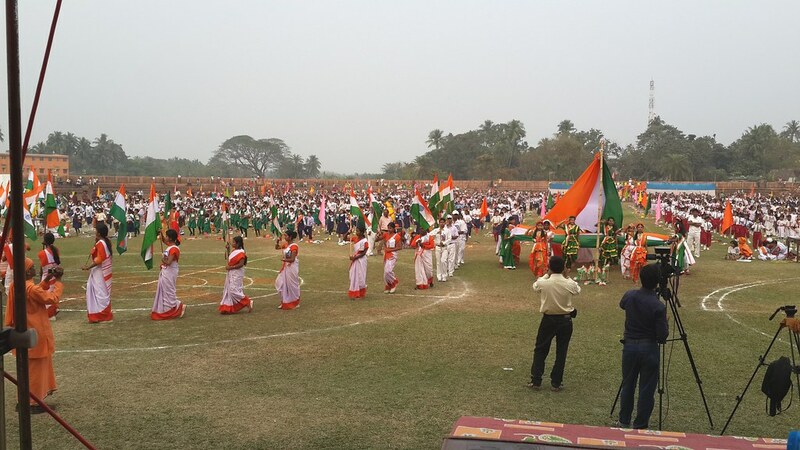 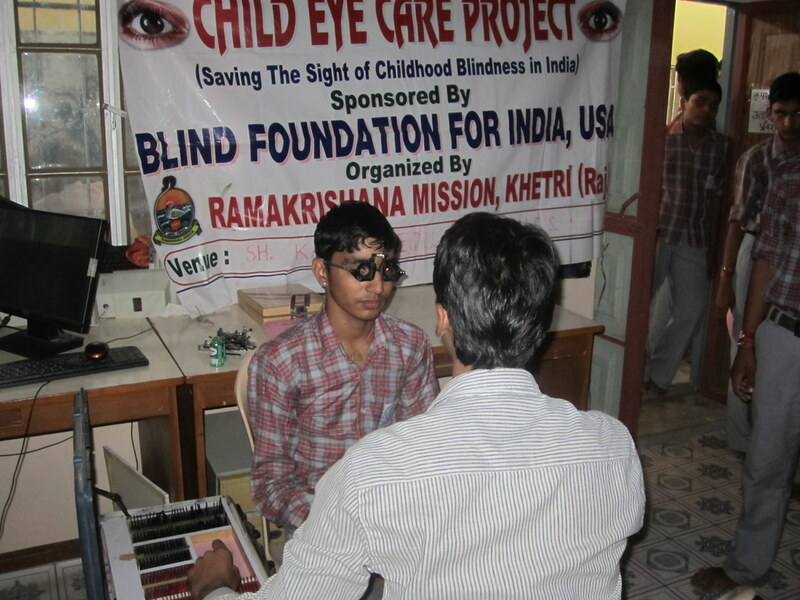 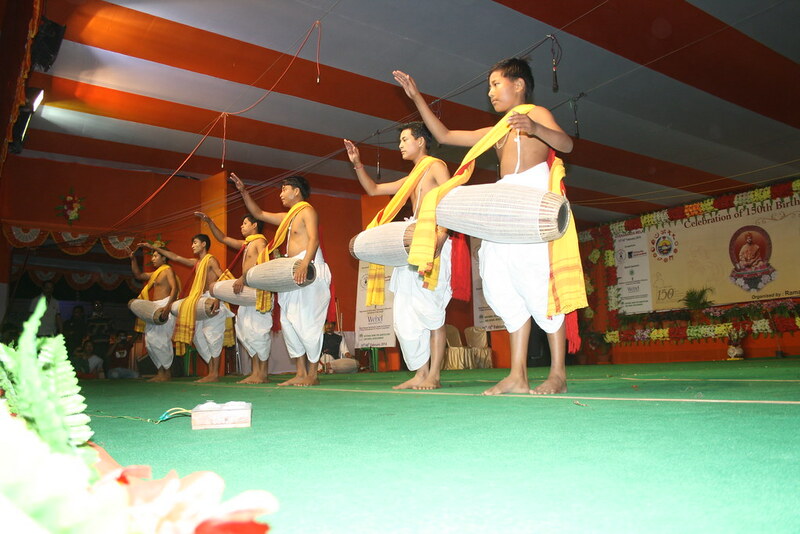 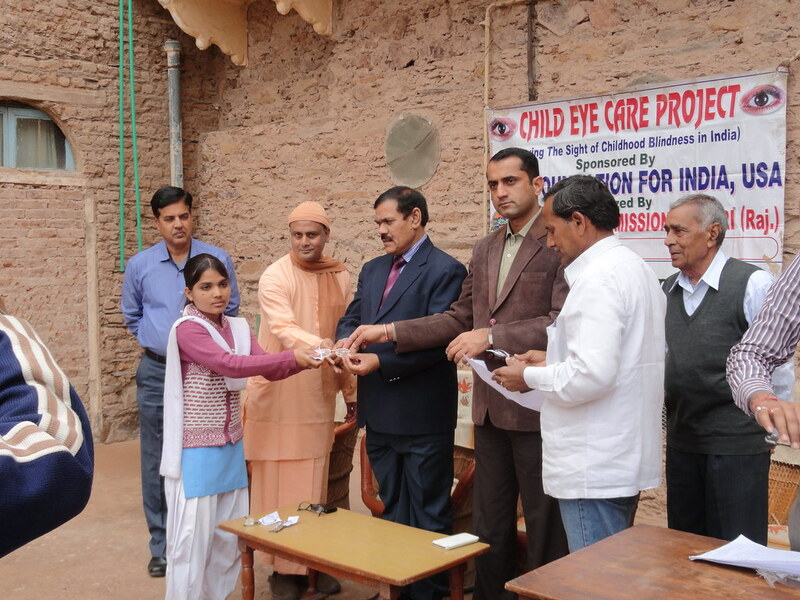 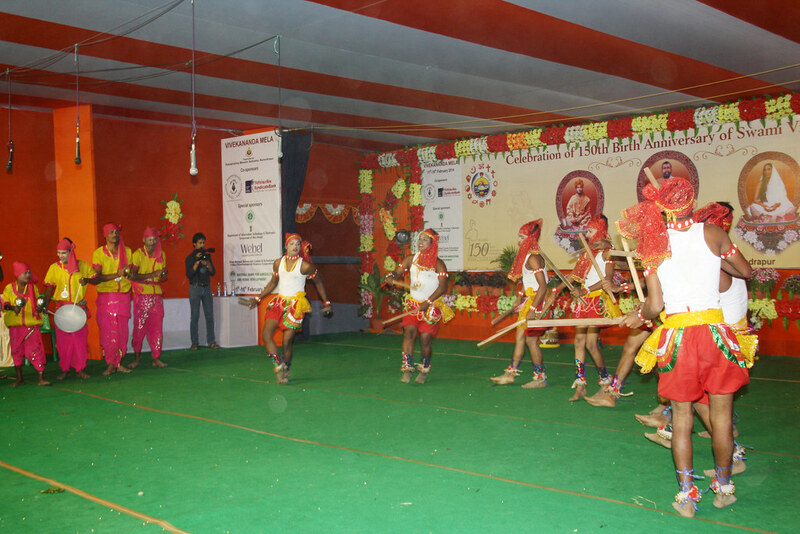 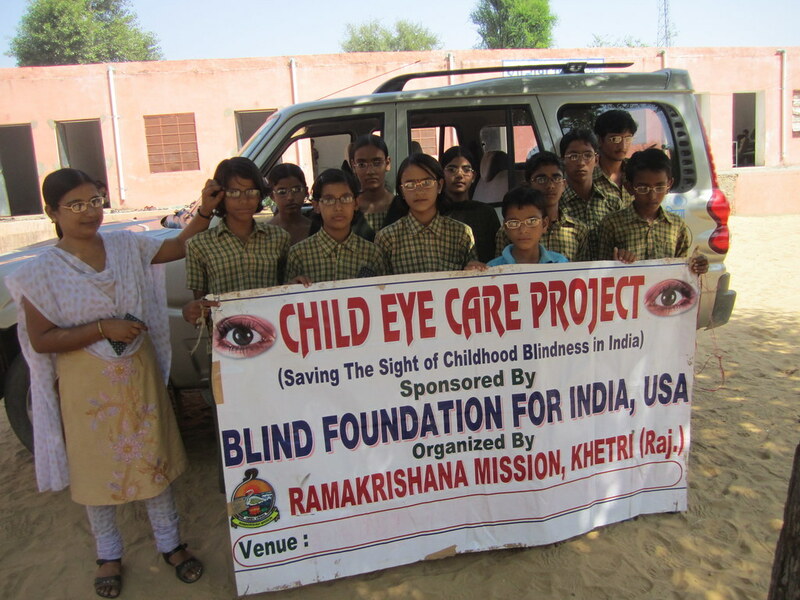 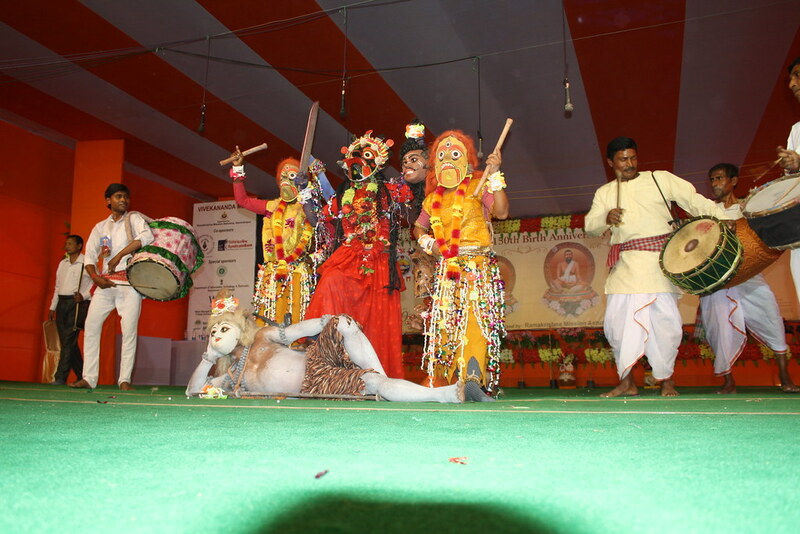 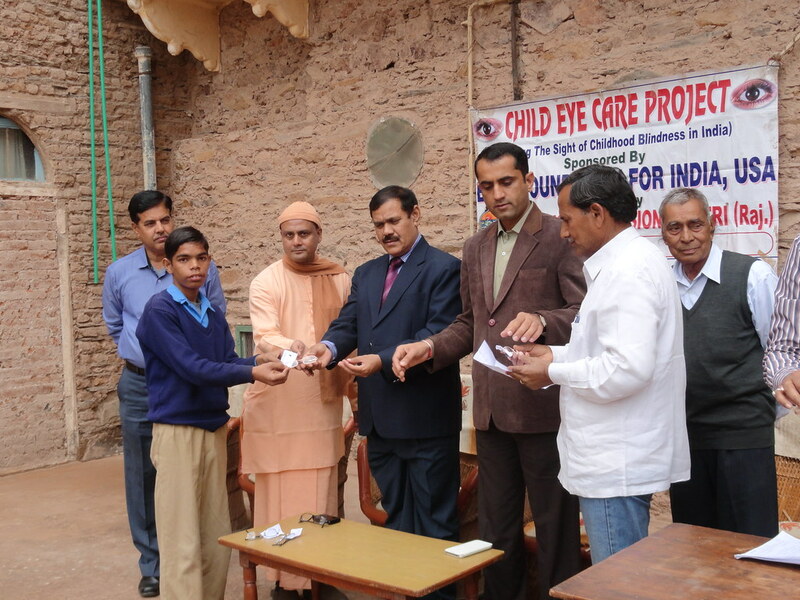 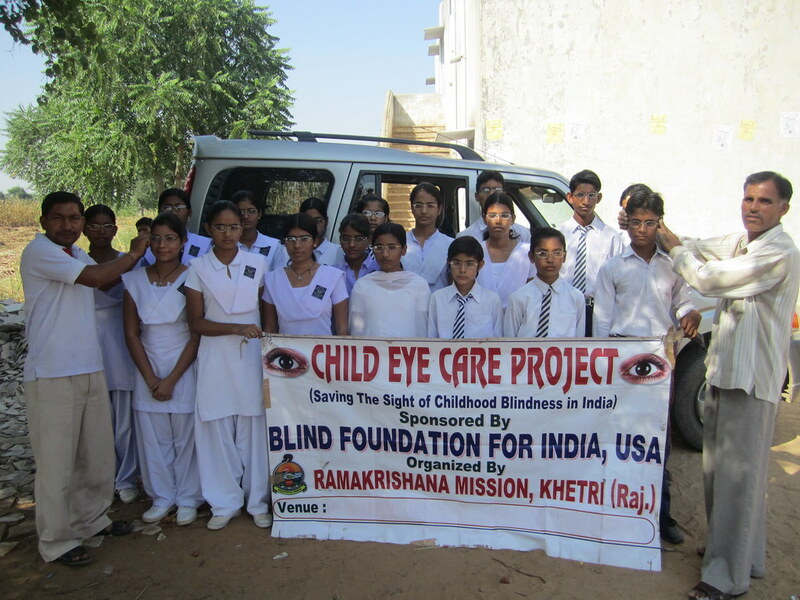 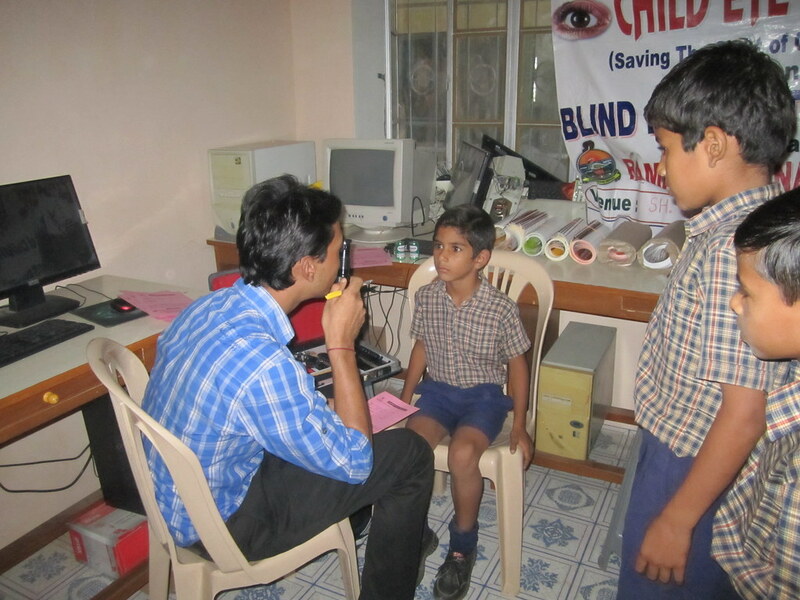 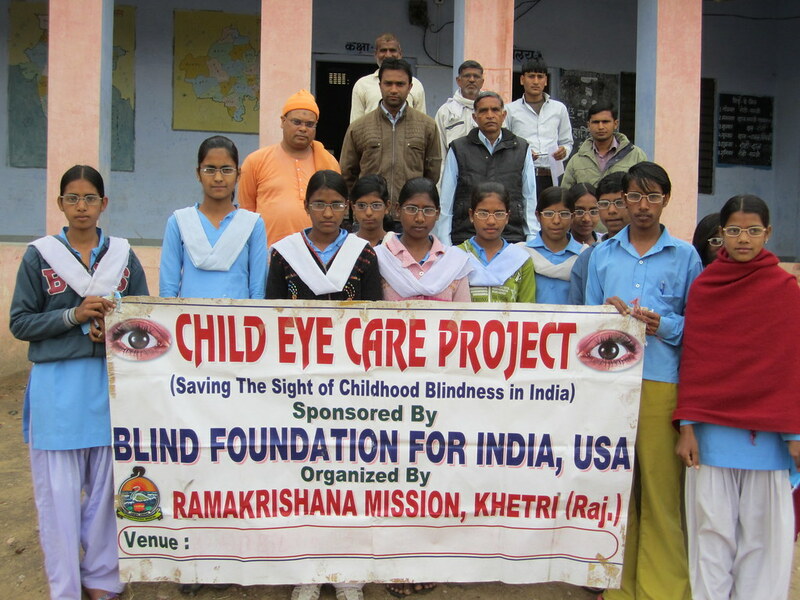 Further, they were entertained with one piece of dhoti/saree, bathing soap, hair oil, and each of them was given cash Rs. 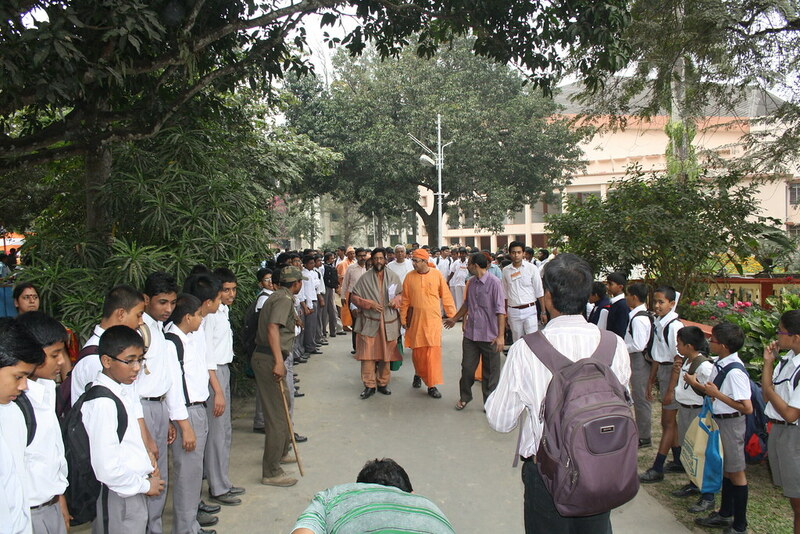 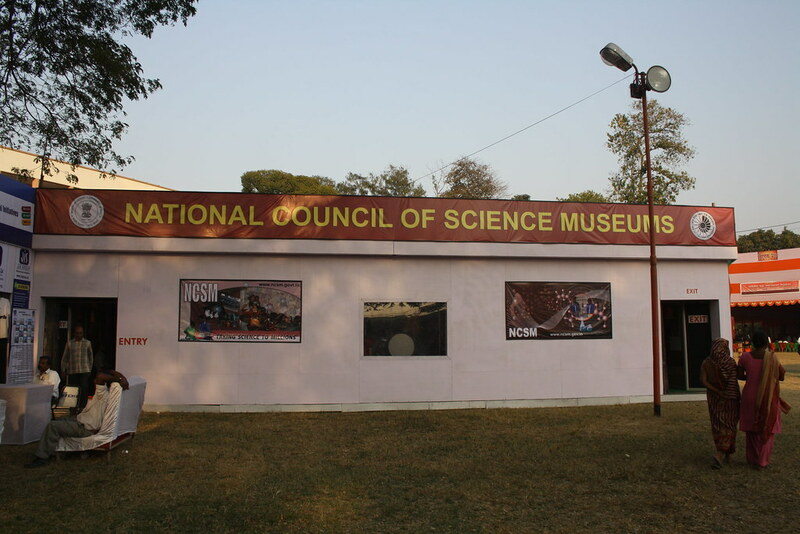 100/-. 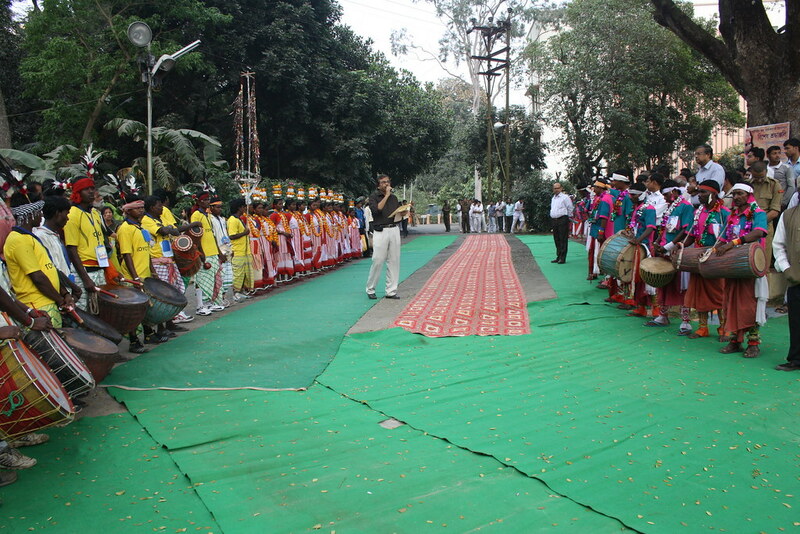 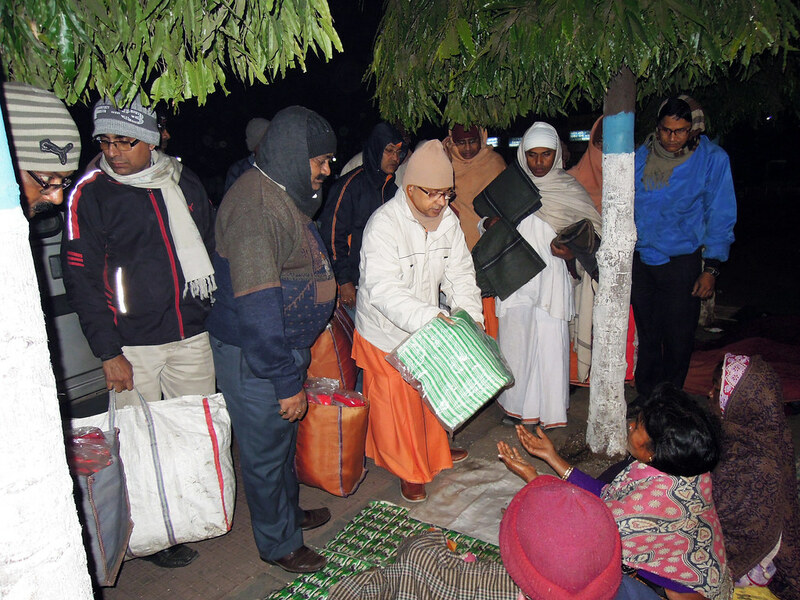 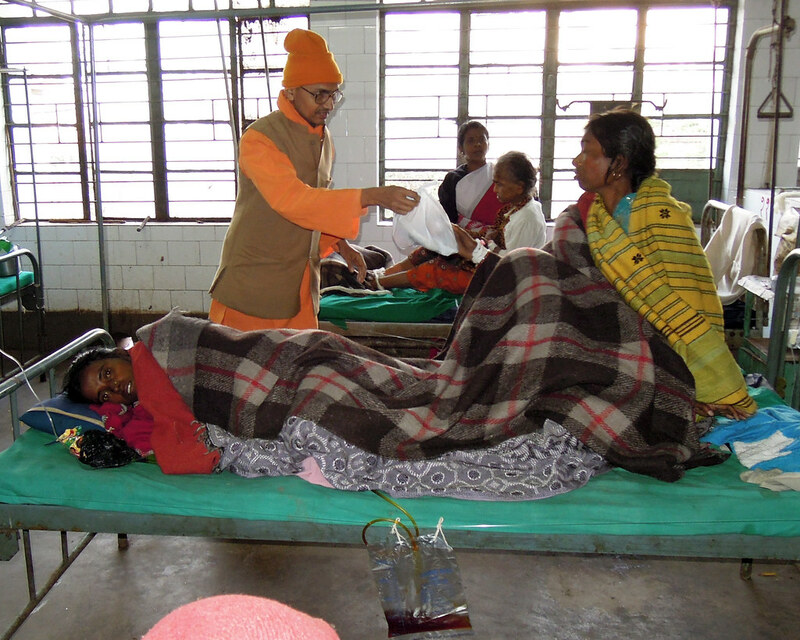 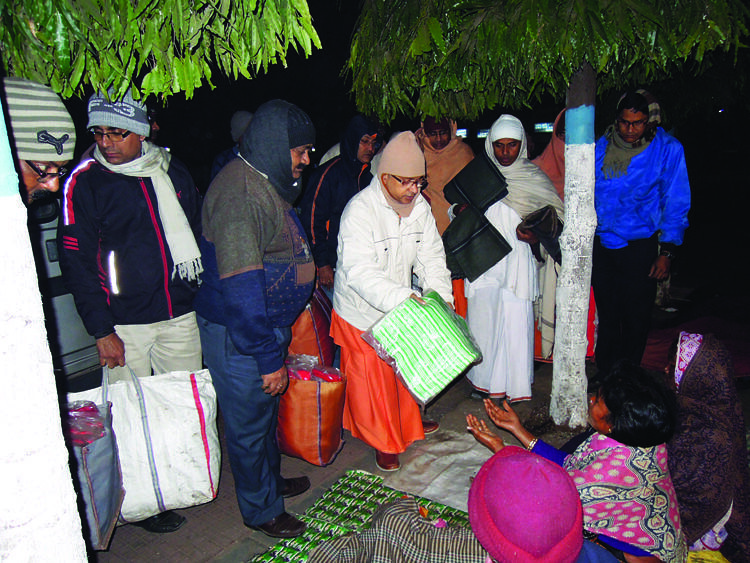 In order to serve the ‘Daridra Narayana’ in their hour of need, it was decided to distribute winter garments, blankets, sarees, and dry food among the people lying on the footpaths, railway stations, bus stops etc area at midnight from 2010. 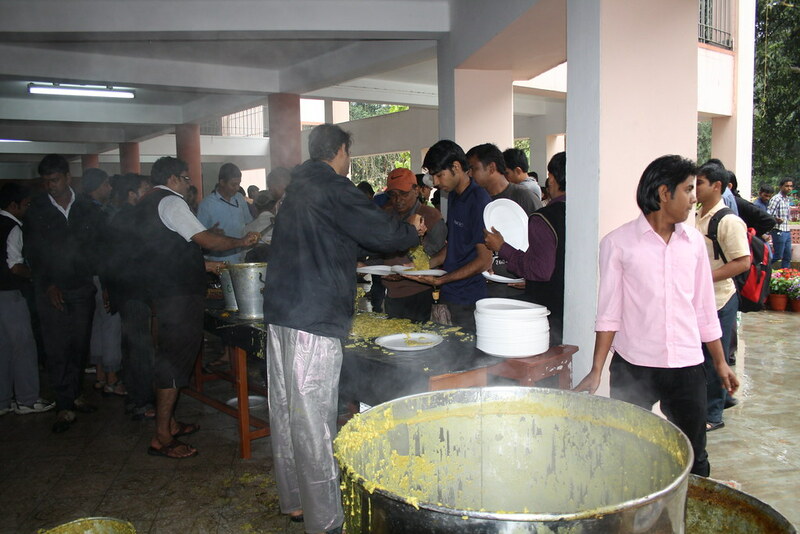 This year i.e. 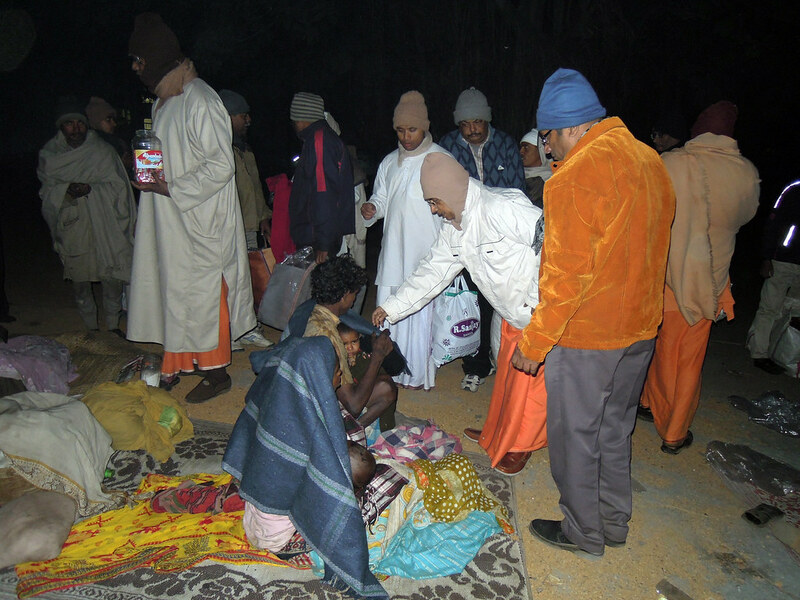 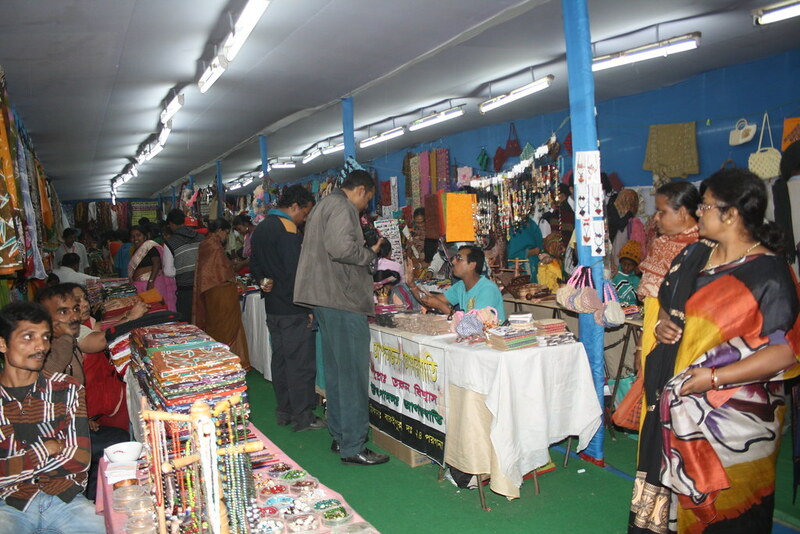 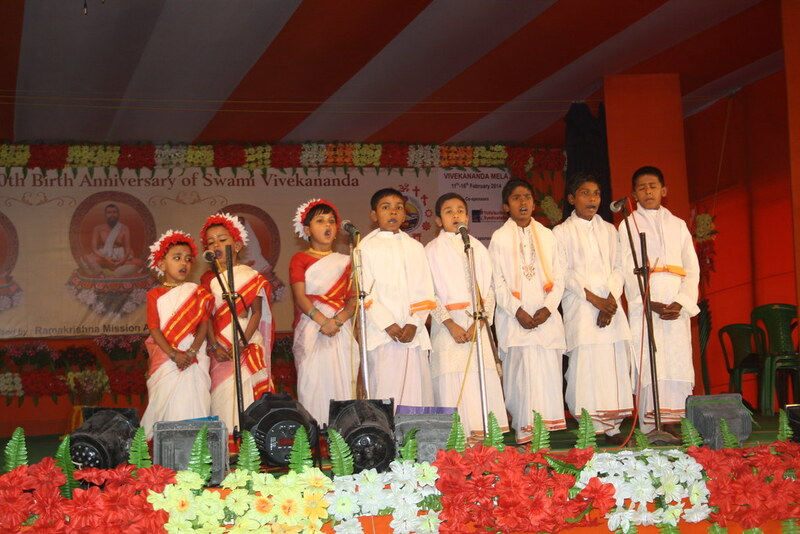 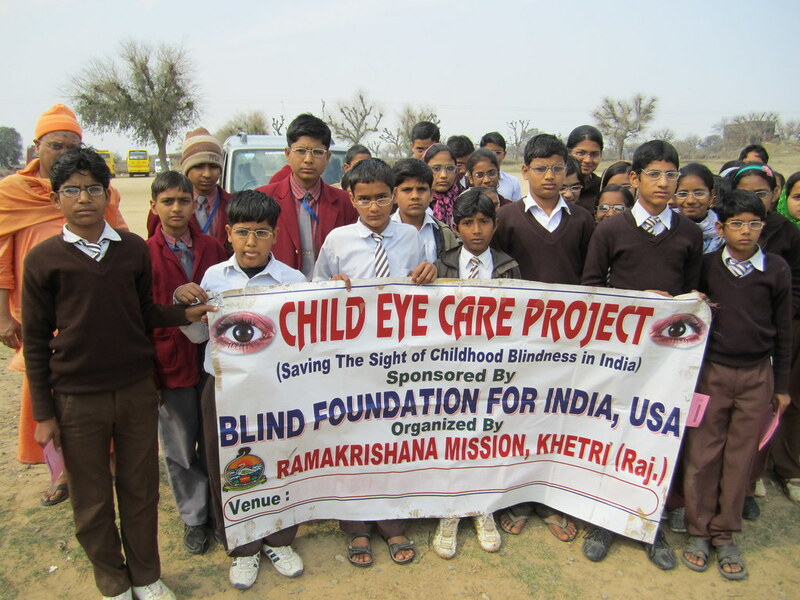 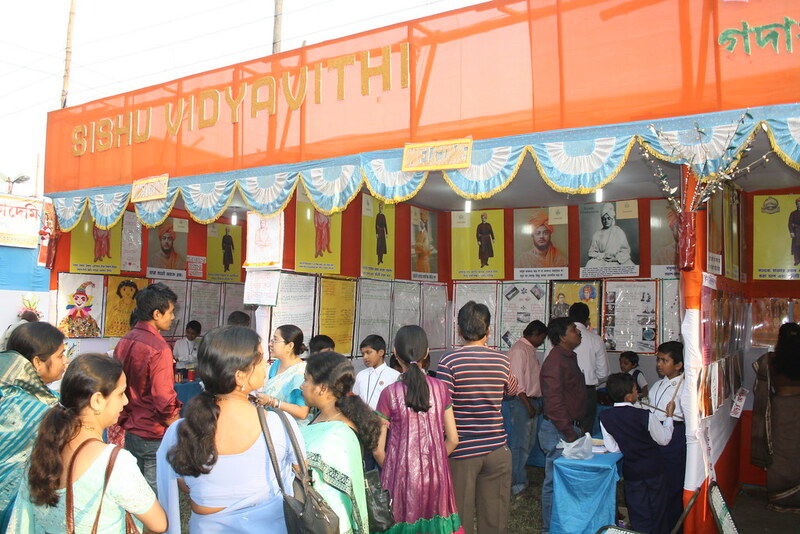 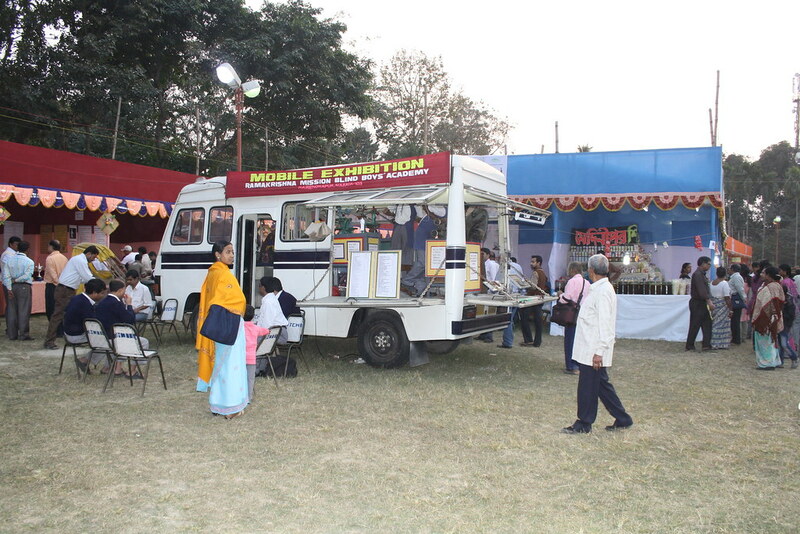 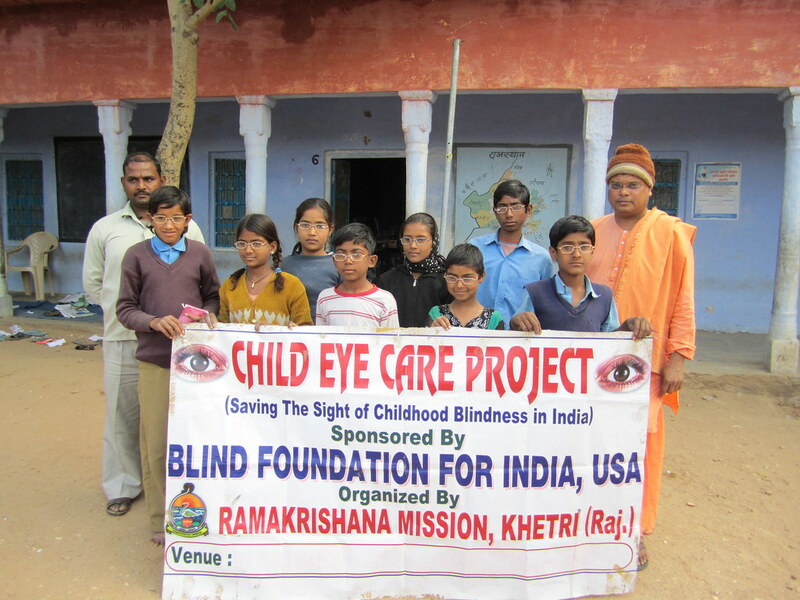 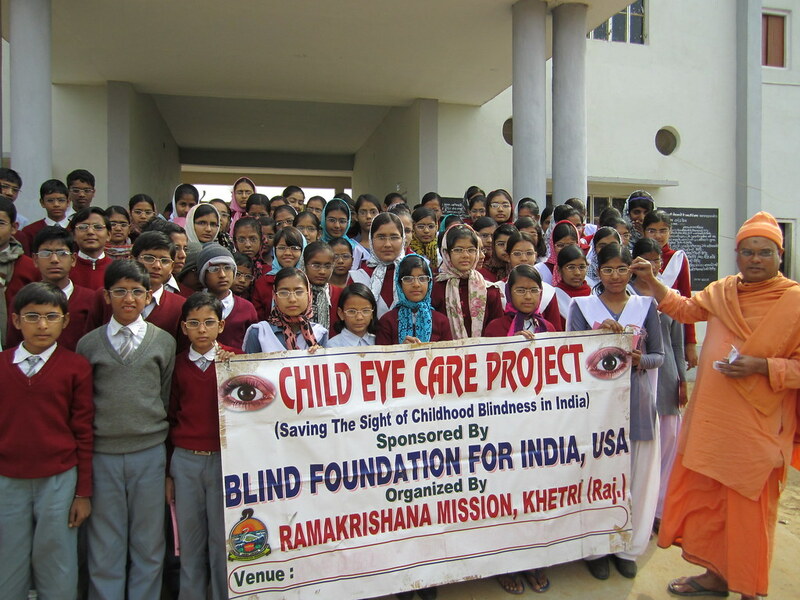 in 2013, on 9th January from 10.30 p.m. to 1.30 a.m., the Ashrama served the street dwellers, after finding them out, with the following– a) blanket–25, b) sarees–20, c) sweaters for infants–15, d) sweaters for boys/girls–16, e) woolen caps for children–21, f) woolen caps for adults–9, g) chaadar–38. 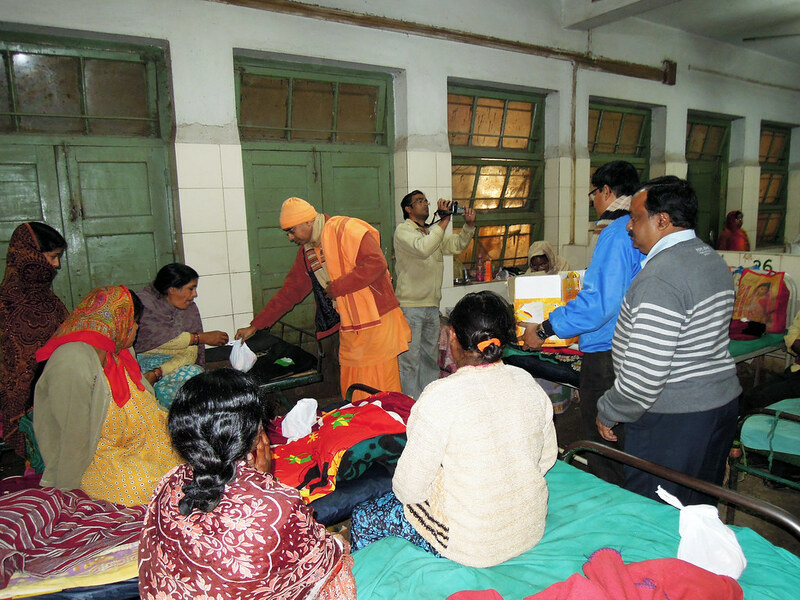 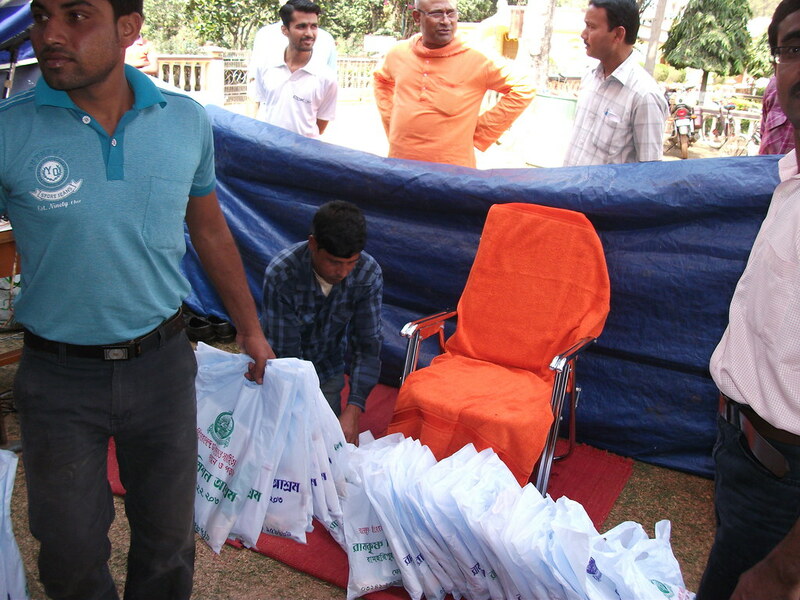 Added to this was the distribution of fruit packets to the patients admitted in the government hospital at a leprosy colony. 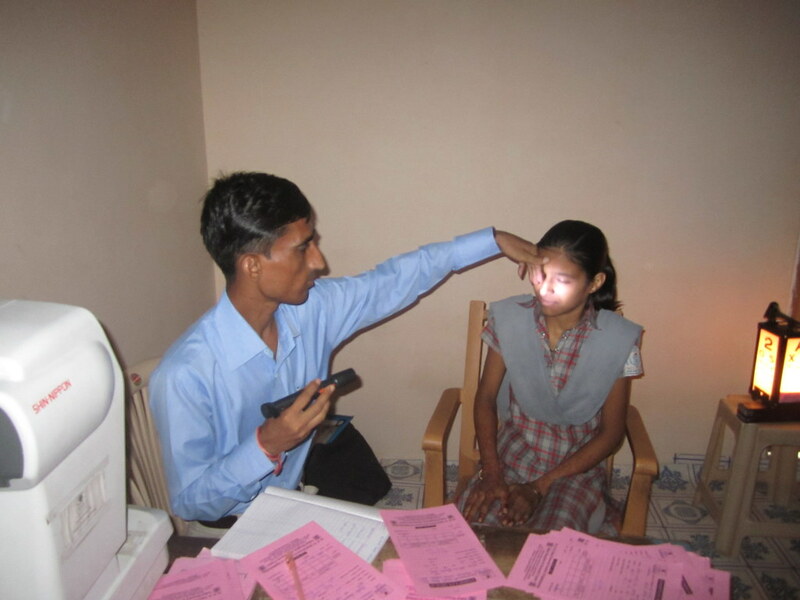 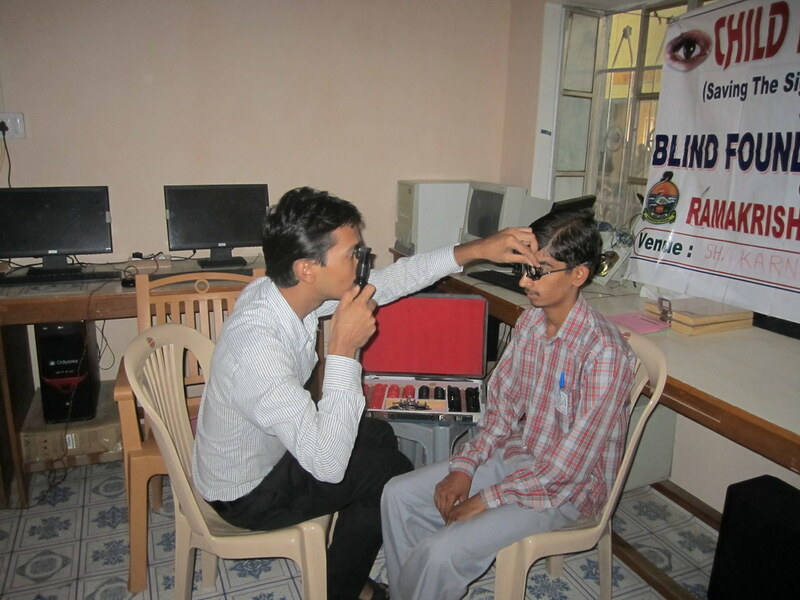 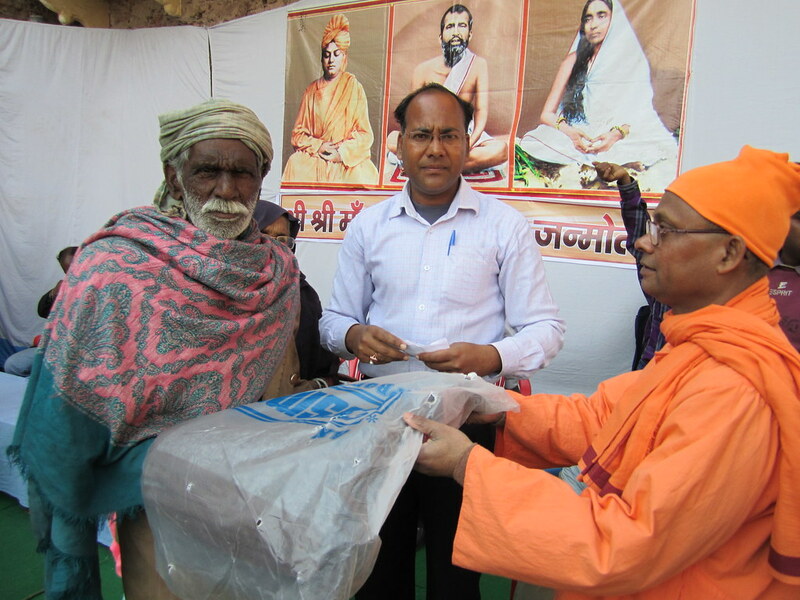 Every year, in association with Praktani Samsad, winter relief has been undertaken to serve the poor people from very remote areas. 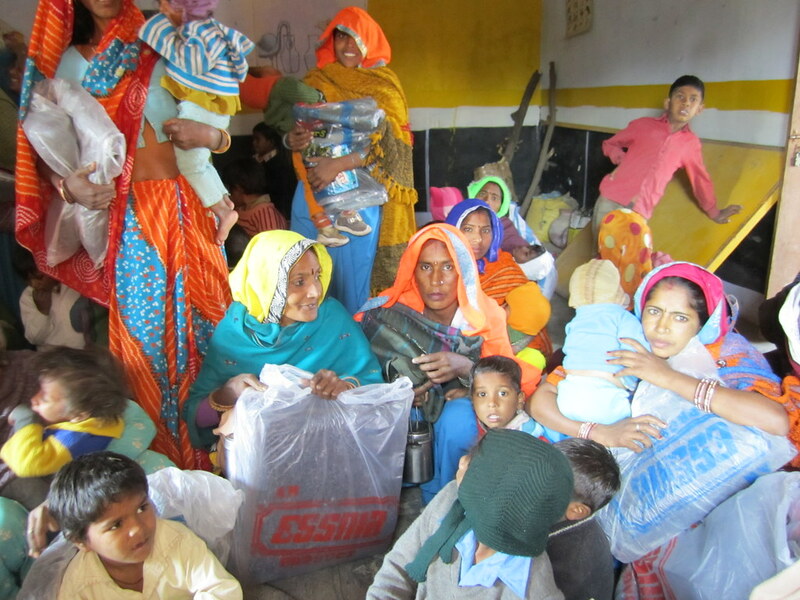 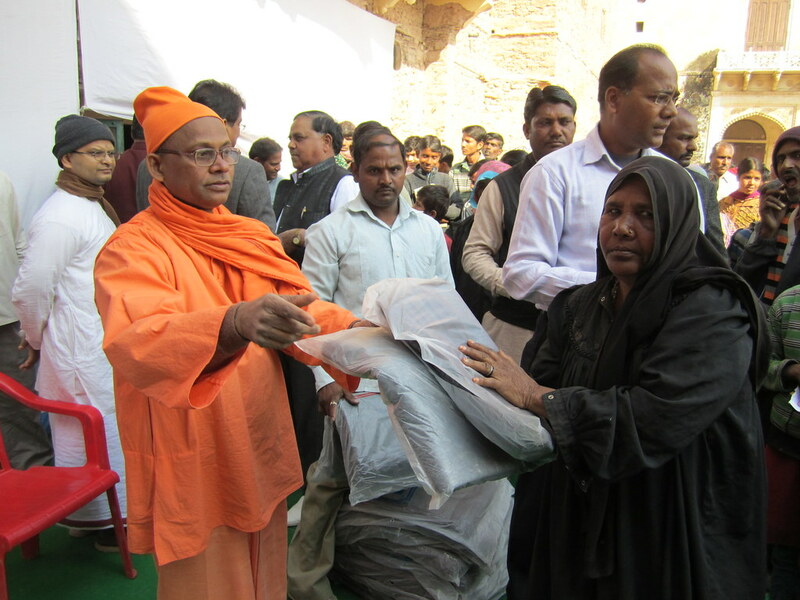 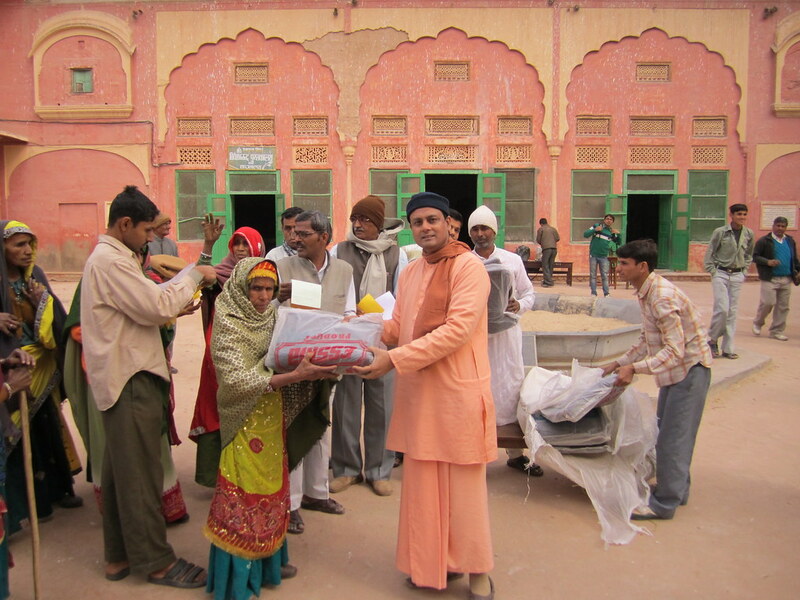 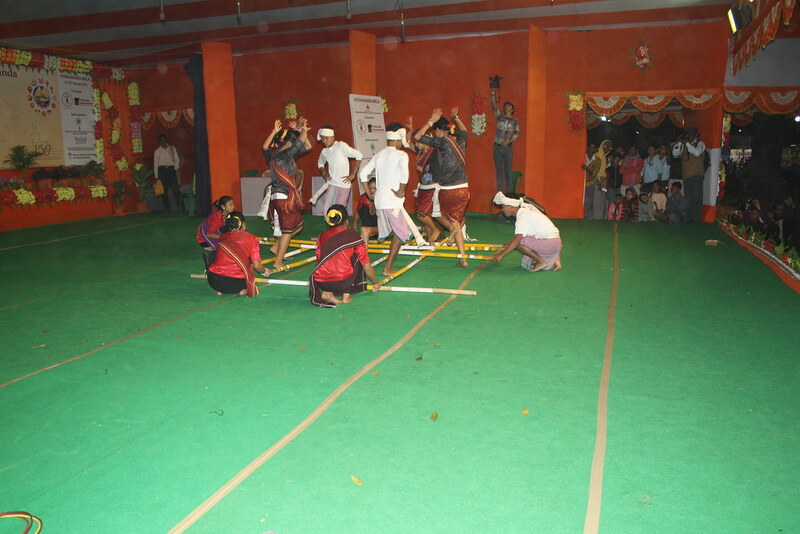 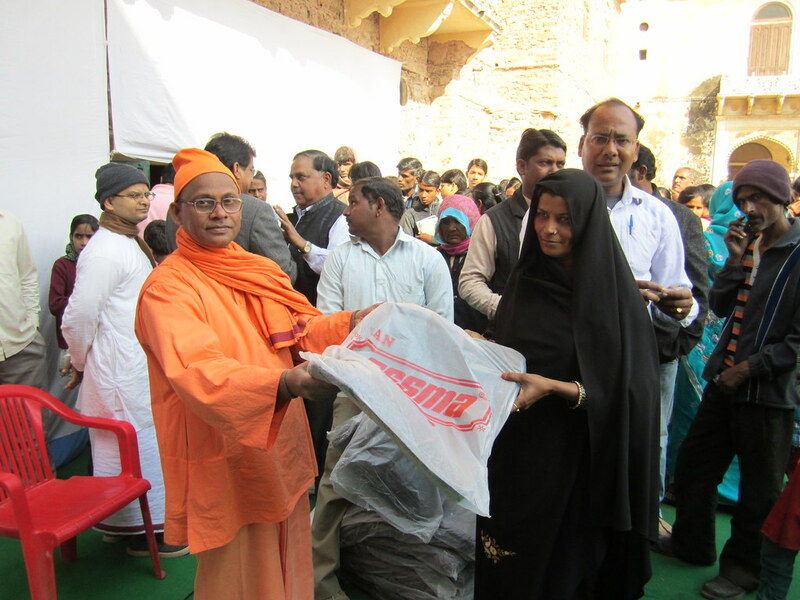 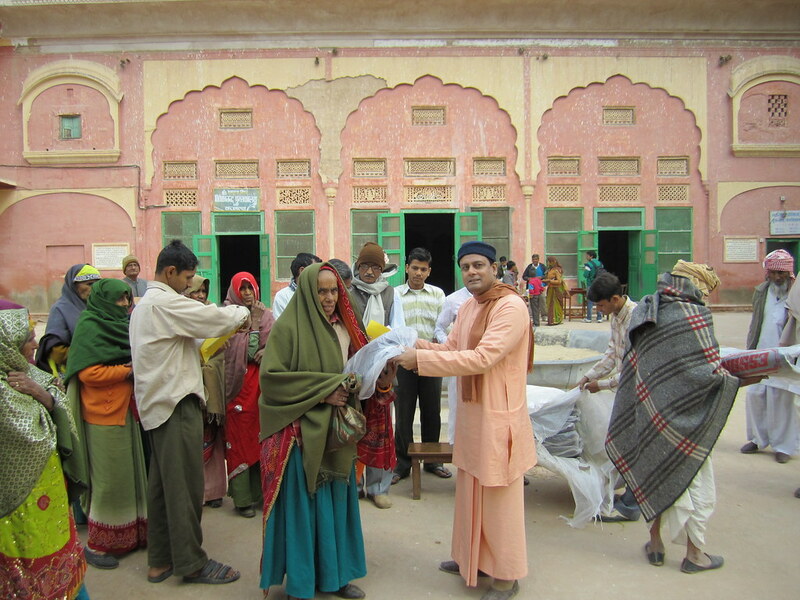 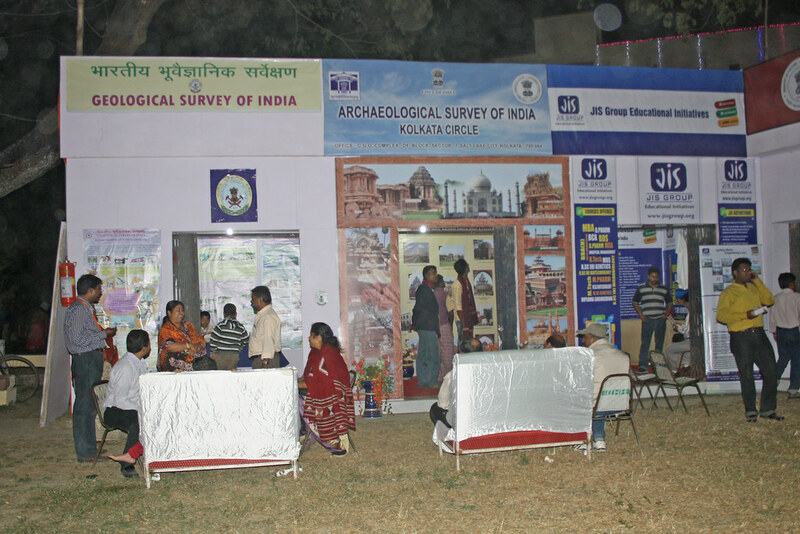 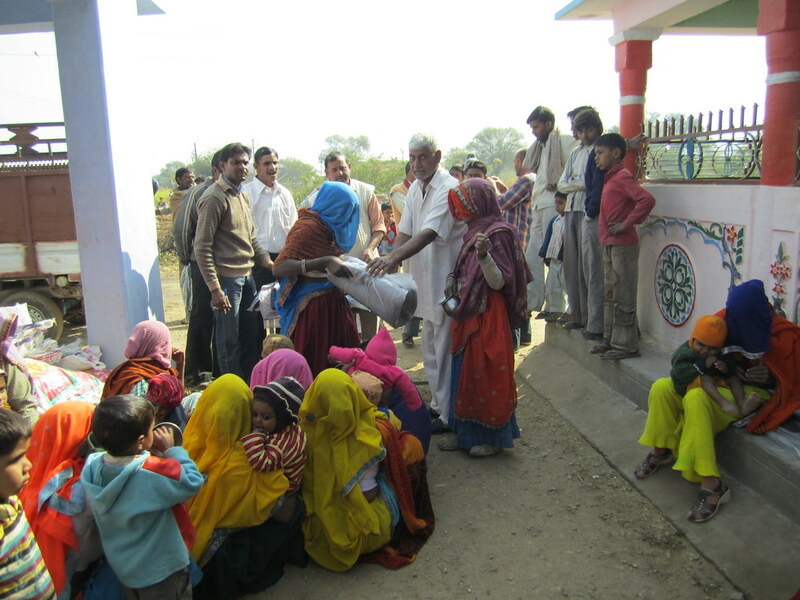 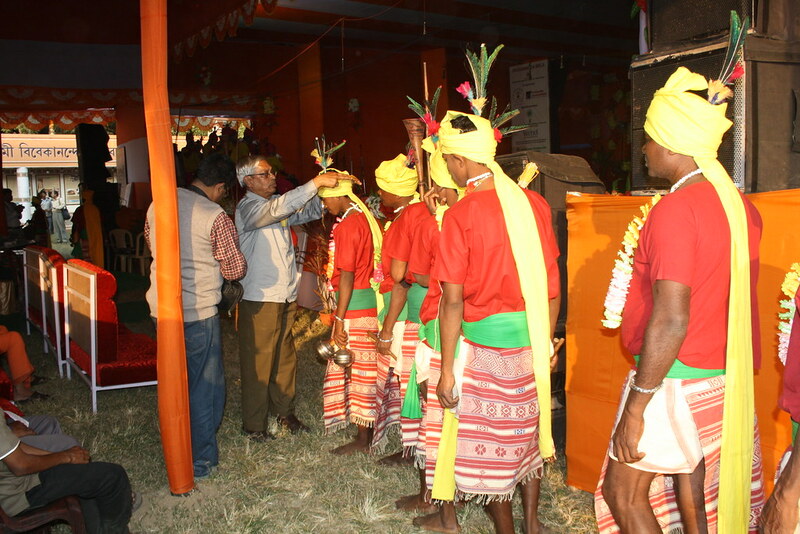 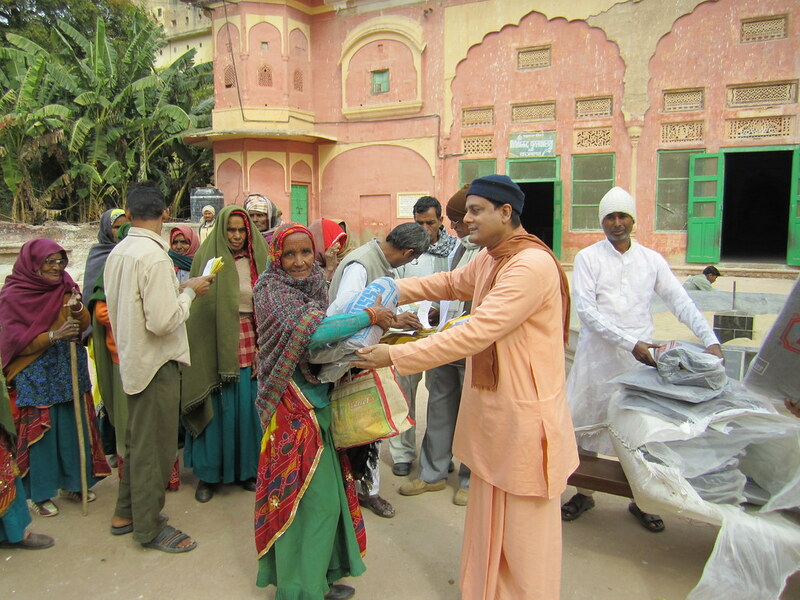 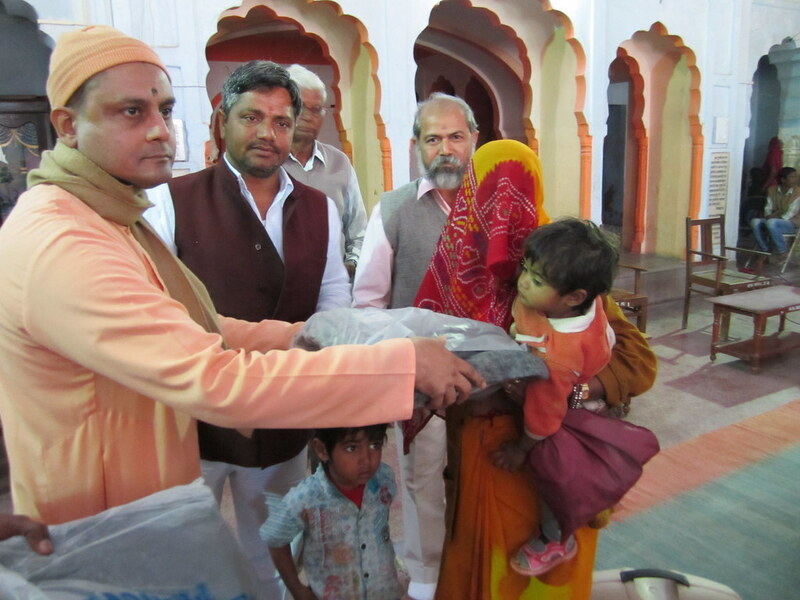 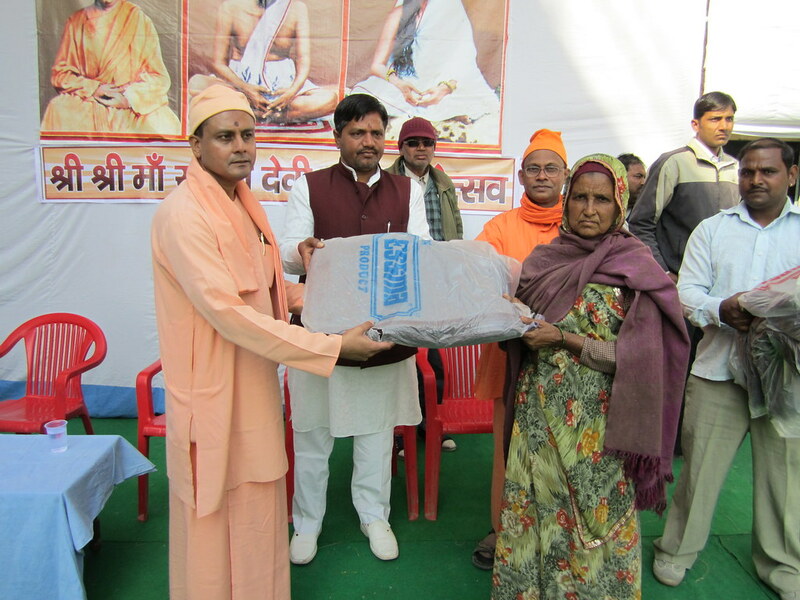 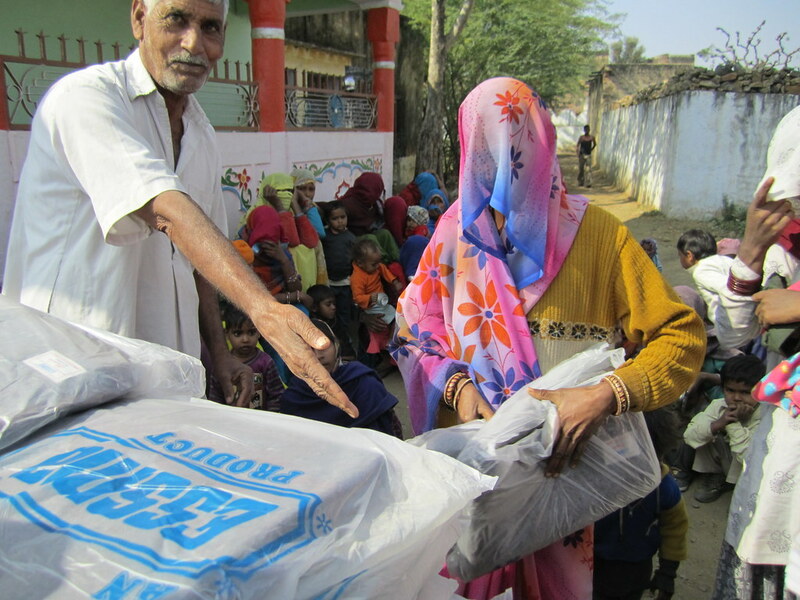 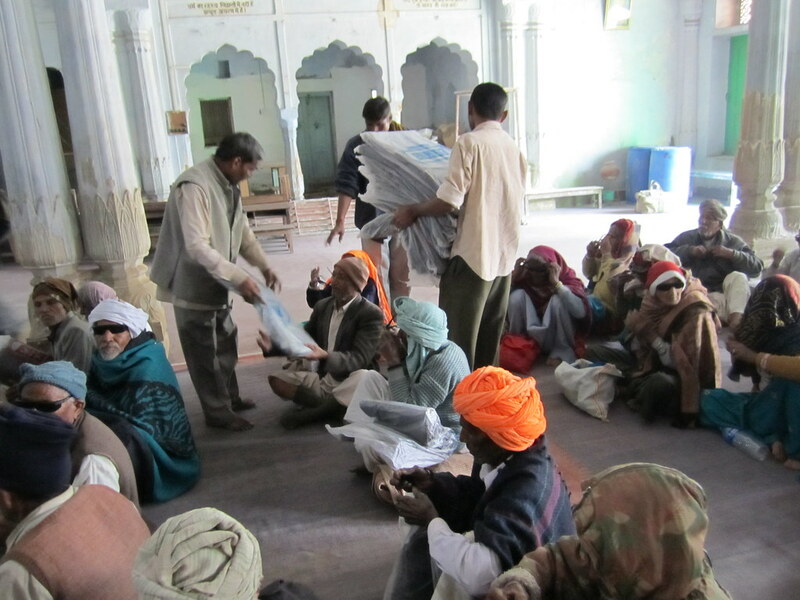 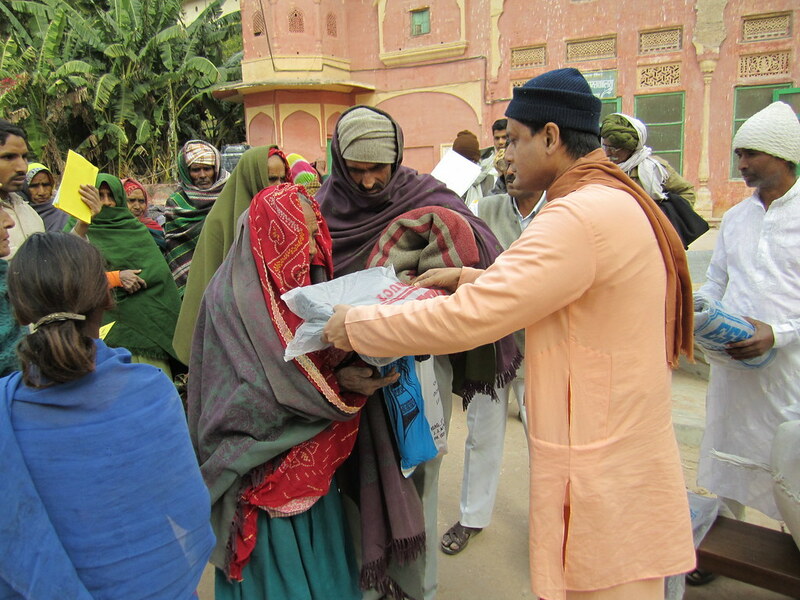 This year Loba, an abstruse village near Paraj, mainly inhabited by tribes, was selected and the following items were distributed – (a) blanket – 168, (b) warm sheet/chadar – 131, (c) saree – 233.